This series ended up being a crazy set of ups and downs for me. It had an explosive opening that definitely caught me off-guard. I didn’t really have an issue buying into the premise of zombie idols attempting to save Saga, and I can say that I thoroughly enjoyed the first few episodes. I preferred the show when it was at its most insane levels, delivering absurd parodies of typical idol shows. 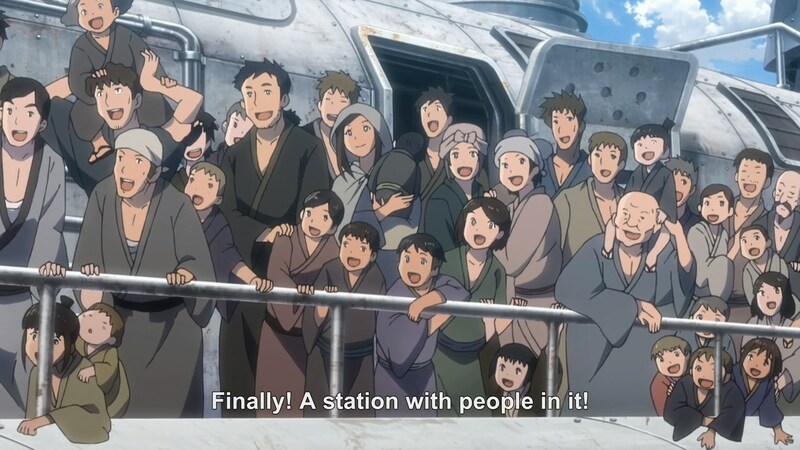 When it winds down, though, it ends up being not too much different than the shows it satirizes, albeit with more ridiculous character backgrounds. Additionally, the story feels incomplete in the end. 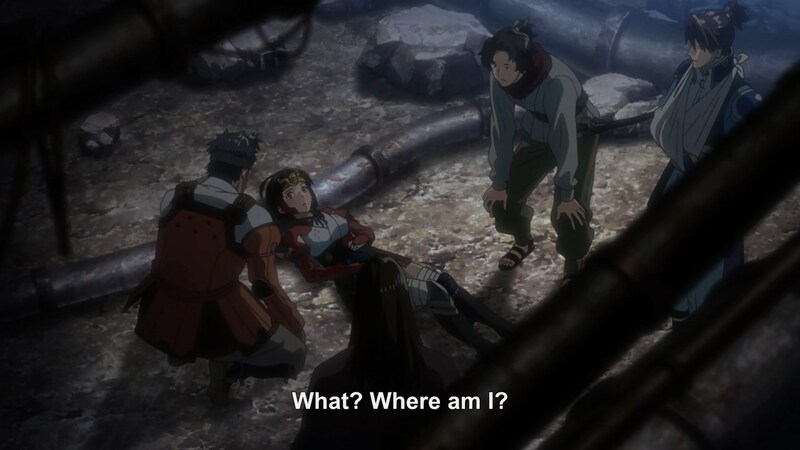 Sakura, the main character, ends up being a bummer in the show’s final moments, and her ultimate significance is only hinted at. Given that she’s the core of the story despite being a purported normal girl, it makes sense that the show revolves around her, but I didn’t feel too satisfied with the explanation. Overall, I can’t be too upset with the general theme of the series. It takes the standard idea of overcoming individual flaws with the help of friends and amps it up to absurd levels by giving the characters the bad luck of literally dying. From a character perspective, I also liked some of the stories, like Saki’s story, but it was a bit sad that some of the characters didn’t seem to get any focus, like Yuugiri and Tae. 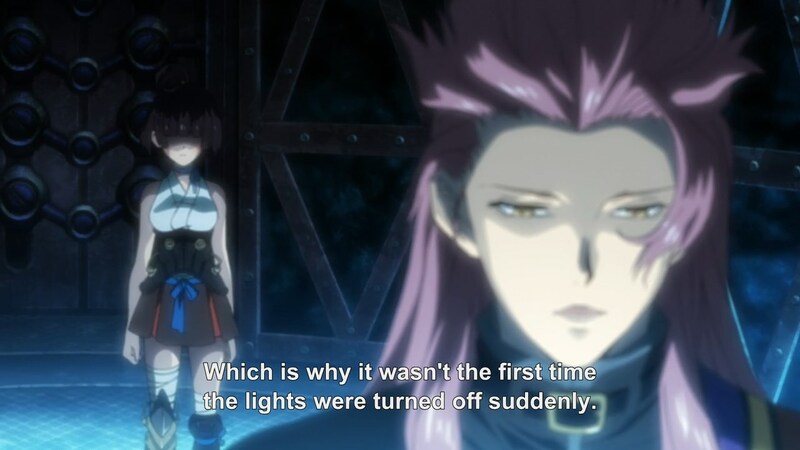 Tae happened to be my favorite character, so it was sad that Sakura got a second awakening while Tae was pushed off to the side. At the end of the day, the series was an enjoyable experience. It definitely wasn’t the show I was expecting to see when I loaded up the first episode, but I think it still ended up being better than I could have expected. The highlights of the show for me are probably the rap battle in episode 2 and pretty much everything that Tae does. Good for a lot of laughs, but the show gets really weird when it tries to be serious. This show is one of the weirdest ones to talk about, not only because it’s a comedy series but also because it can be a bit of a wild ride. For me, it tends to be strongest when it’s at its most absurd levels. In contrast, I think the series tends to become more monotonous when it falls back towards the hallmarks of a typical idol show. I get that it may sometimes be necessary since the show is an idol show even if it’s trying to make fun of them, but it’s just not as entertaining for me. In this episode in particular, I think we’re just missing too much background on Junko. I get that her memories of her previous life are weak because she’s a zombie, but it’s harder to understand her based solely on her constant insistence that idol culture has changed too much. Maybe if I was someone who was more versed in idol culture, I might know this, but I’m really not that guy. 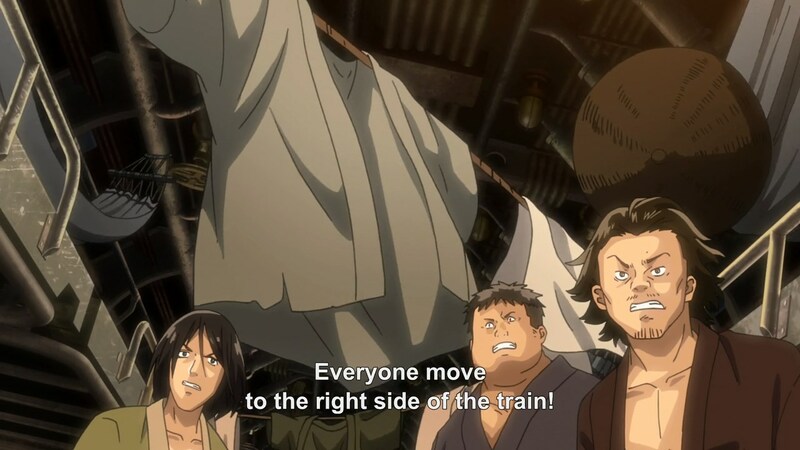 That being said, Koutarou had a pretty decent speech in this episode, encouraging Junko to stay true to her roots regardless of the modern social climate. The joke that she’s a zombie, not a robot, was funny because zombies tend to be even more mindless than robots. 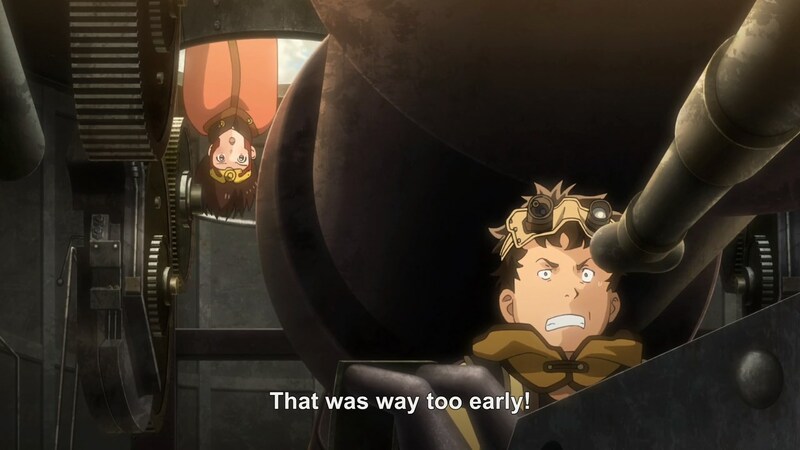 I appreciate a good call back to the first episode. For me, Tae is a really consistent source of comedy in this show, and I think it’s hilarious that she’s finally starting to speak by copying Saki, the “leader”. Having the girls get struck by lightning anyway is a funny way to get Ai over her issues. I appreciate that the lightning strike is incorporated into the song too, but it ends up sounding like cheap autotune, which is less great. This series doesn’t even make me sad to be watching an idol show. It does make me feel bad writing about it, though, since I think a lot of the episode relies on surprise to deliver jokes. Personally, misdirection humor tends to work pretty well for me, so I had a blast watching the episode. So yeah, zombies forming an idol group. What could go wrong? The opener really does a great job of setting the tone for the series. Truck-kun is merciless. I probably should have noticed the giant 2008 calendar in the beginning, but the typical idol girl introduction really disarms you. I also loved the way the screaming music starts just as the camera zooms on Sakura’s dying face. I’m not going to lie. I was really hoping that Sakura’s appearance in this whole section was just a result of her own personal perception. I think showing off the manager’s makeup skills makes more sense, but I like the idea of messing with perception, and it reminds me of Gakkou Gurashi. 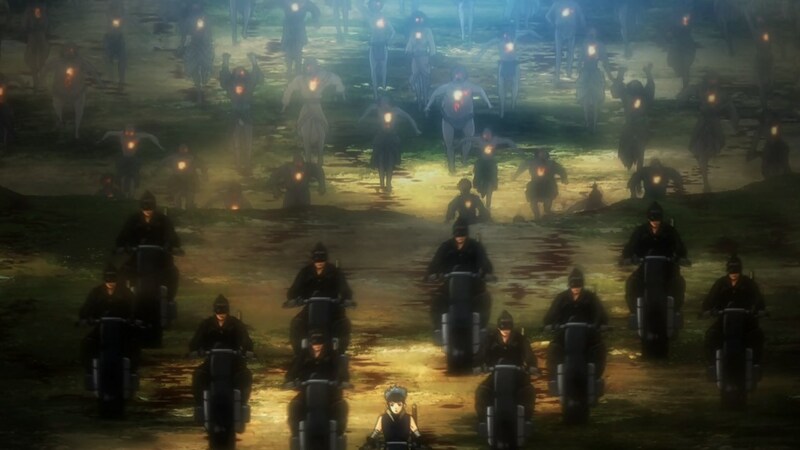 This is a good representation of what it feels like when you’re the only person paying attention in class. Also, can we talk about the sound effect that was playing when the morning sun was being shown? I don’t know if it shows up in other media, but it sounds exactly like the sound effect that plays when you “wake up” in 7 Days to Die (which is a game I’ve played a lot). 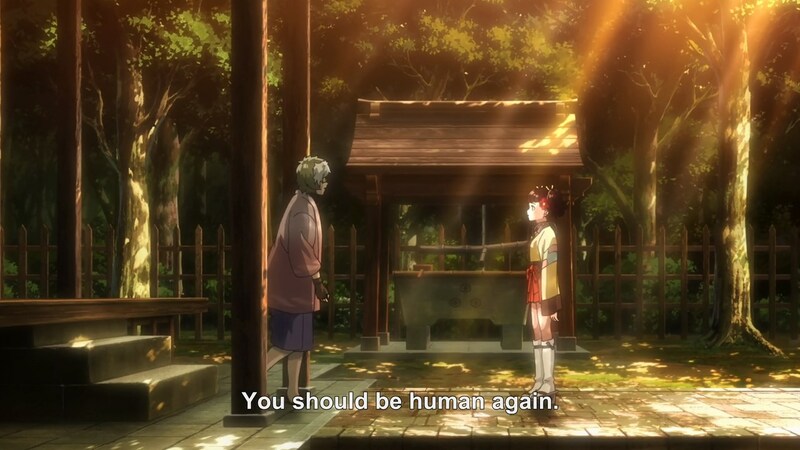 It’s a funny joke…but I actually do want to know how Koutarou managed to bring everyone back as zombies. I don’t know how I feel about the fact that extreme headbang is the only appeal of these zombies. I guess they’re just starting out, so I shouldn’t be so harsh. I’m relieved to see the other zombies waking up. Dealing with a single sentient zombie would probably get old pretty quickly. We should give zombies more personality, right? That being said, it does bring up a troubling question. Just what exactly does Sakura do in this show? Before, she was just “the sane one”, but what now? No real structure to this post. I’m also planning on copying this post over to the new blog to give it more stuff. 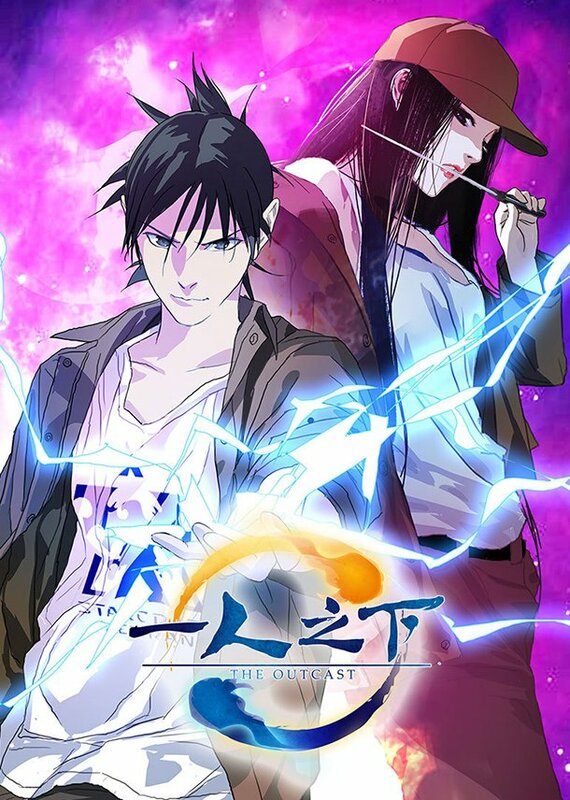 Let’s start out with Hitori no Shita: The Outcast, a series that wasn’t part of the chart I used in my Summer Preview post. Normally, I would just ignore it and move on with my life, but it actually fits my style a bit, so I guess I have to mention it. 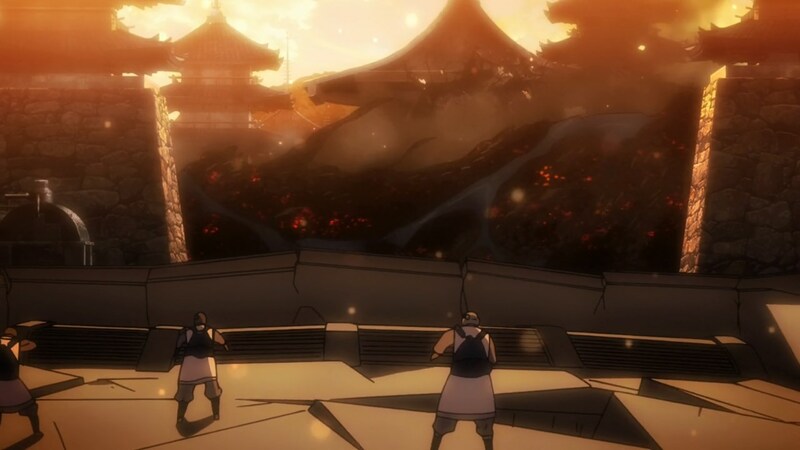 The show is based on a Chinese webcomic about people with supernatural powers. The synopsis seems to suggest a zombie-focused series, but it also makes it sound like those aren’t the main enemy…like the zombies are just a mechanic to get the main character into the plot. Or it could be a manifestation of my own hopes because I really don’t think I can handle another zombie series. 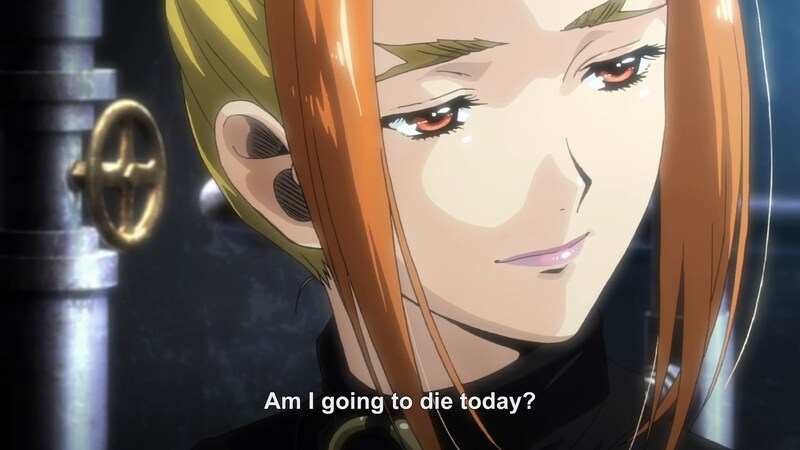 I’m not too familiar with the common themes of Chinese series, but the manhua that I have read tend to be darker and more gruesome than the Japanese series I read. I don’t know whether that’s my own personal bias or an indication of the medium as a whole. Take it as you will. I mean…the series certainly sounds like it should be interesting. Another announcement for this week was that the entire 13-episode run of ReLIFE is going to be released at once, rather than the typical weekly release format. I still have no idea how I’m supposed to react to this, so I’ll just do the gut reaction. I’m someone who doesn’t like feeling “behind”, so my first impression is “I’m going to watch all of the episodes within the first week after they release”. However, this makes blogging rather complicated. The current plan is to still blog ReLIFE weekly as I would a normal series, but I’m starting to think it might make more sense to cross it off the list of airing series and just release a single-post review on the series after it comes out (maybe two posts, one spoilerific and one spoiler-free?). 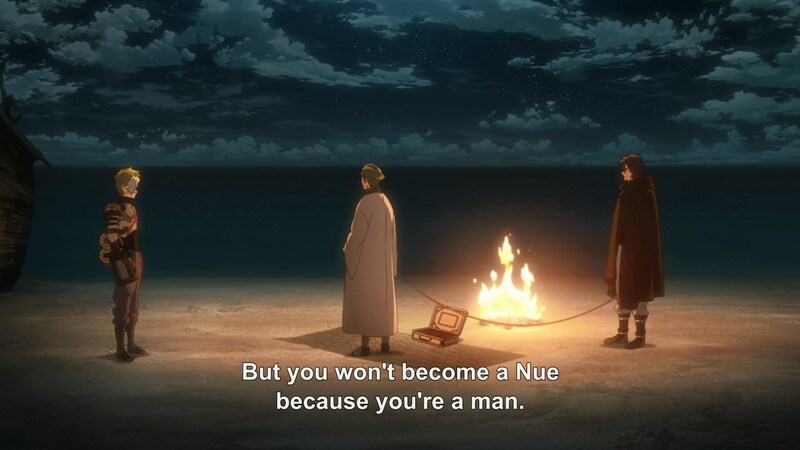 Probably the worst lesson that I’m going to learn from watching so much anime is this. The next time my life is in danger, I’m going to jump into the nearest body of water to guarantee my survival. Don’t think you can get away with this. 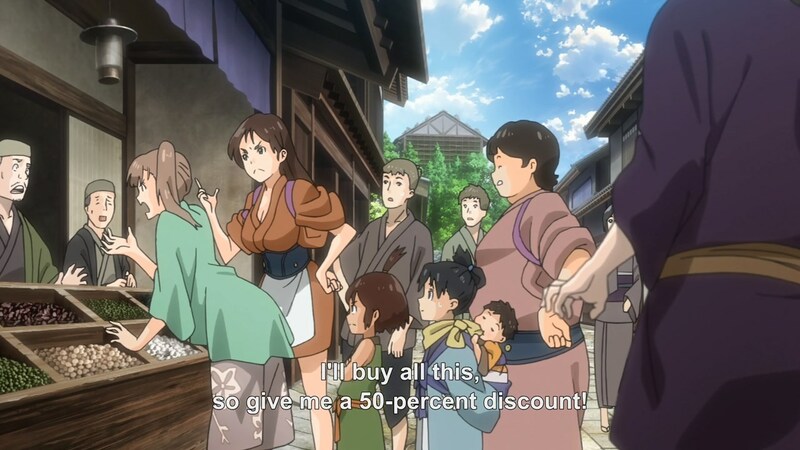 We know Mumei’s mind is dead right now, so this is just a standard villain monologue. This guy explains himself to a kid like the kid could understand this. 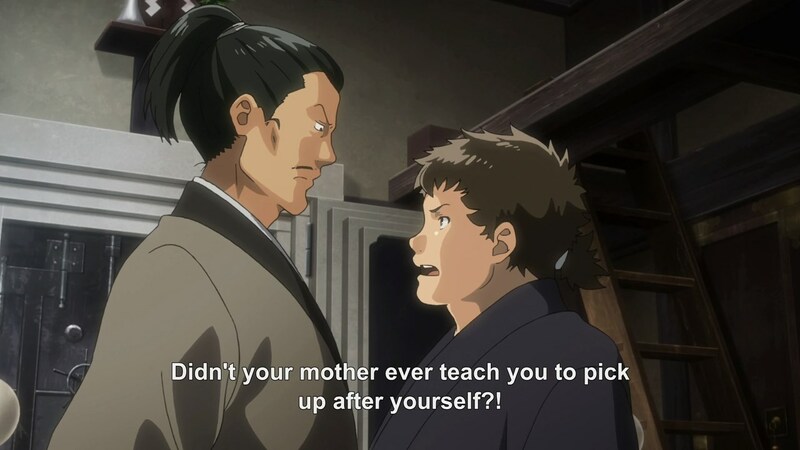 Yes, I understand Biba was precocious, but he’s still not going to understand the inner mind of someone who’s mentally ill (or at least, I’m assuming the shogun is mentally ill). 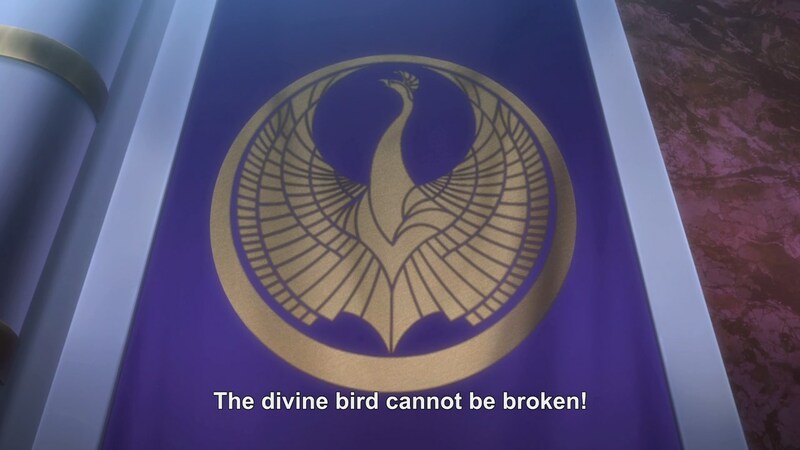 This divine bird is so random. I guess every nation needs an emblem? 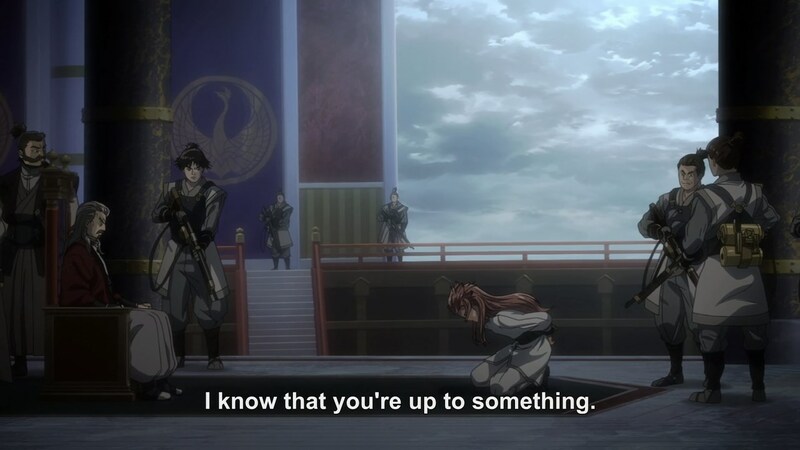 The series thinks it can make me forgive Biba’s character by showing us how messed up the shogun really is. We already predicted this level of insanity based on Biba’s behavior, so at this point I’d say this is too little too late. 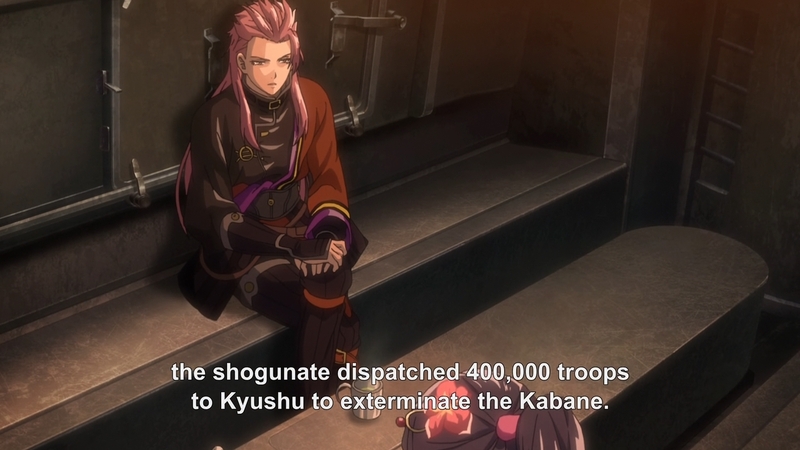 I’m really surprised the shogun just lets Biba in to the city here. 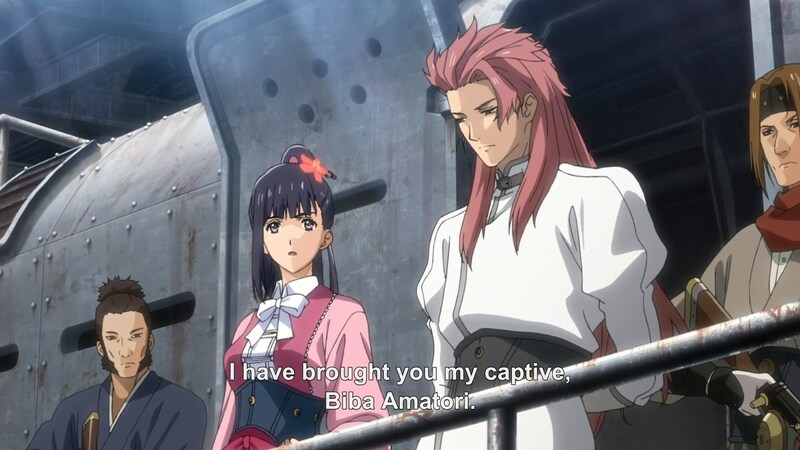 Given his personality, I feel like it would be more appropriate for him to just make sure Biba is killed instead of letting him return a captive. 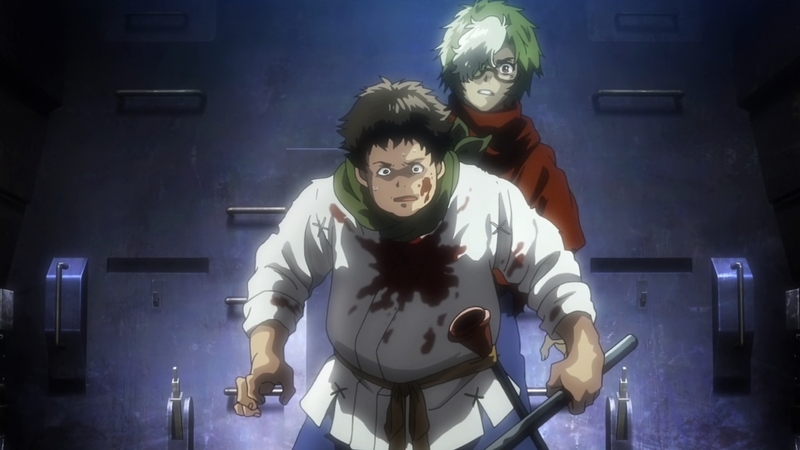 Wow…Kurusu managed to find Ikoma? That’s impressive. Also, there’s a question I’ve been neglecting to ask for a while. 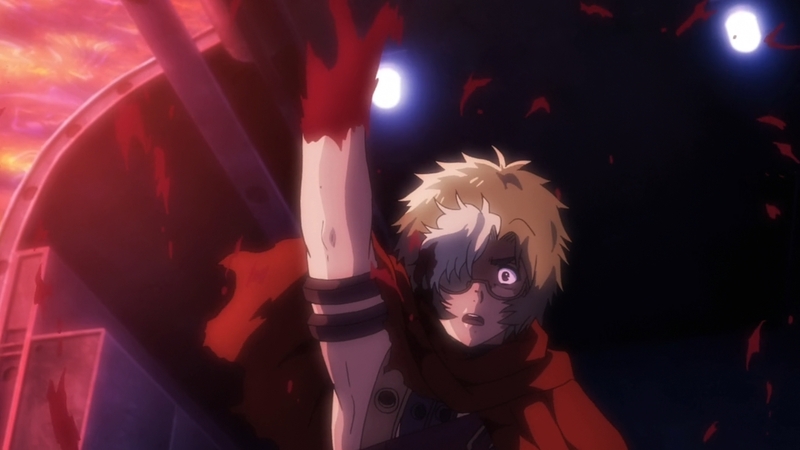 Why is Ikoma’s arm not still bleeding? Why hasn’t he died from blood loss? THEN WHY DID YOU LET HIM IN??? 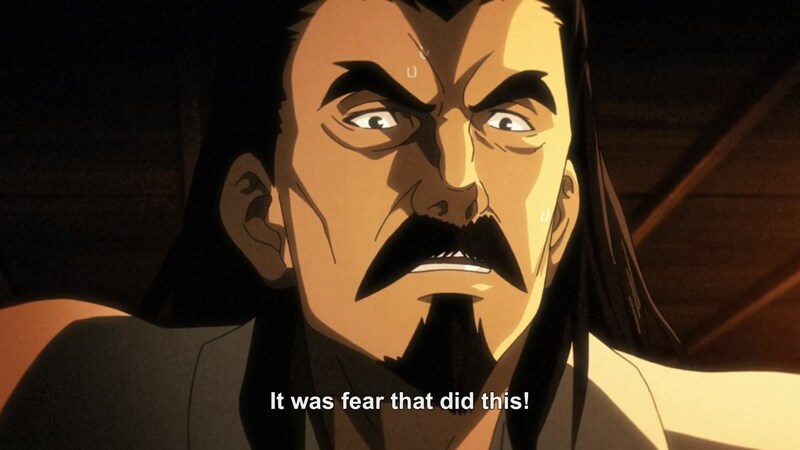 I’m actually fine with Biba’s plan here…it makes enough sense and preys on fear like you would expect. Still, I have to ask…why? “Brainwashed ally spared you on purpose meaning there’s hope for saving her” cliche. Yeah, there’s totally time for this haircut. Also “hero changes appearance to indicate character growth” cliche. I’m actually fine with this. I really hate this mechanic. 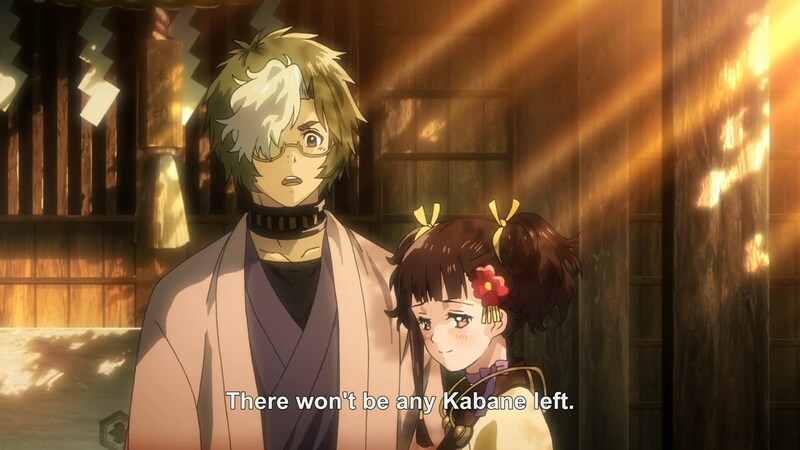 Why arbitrarily make this distinction between Ikoma and the other Kabaneri? 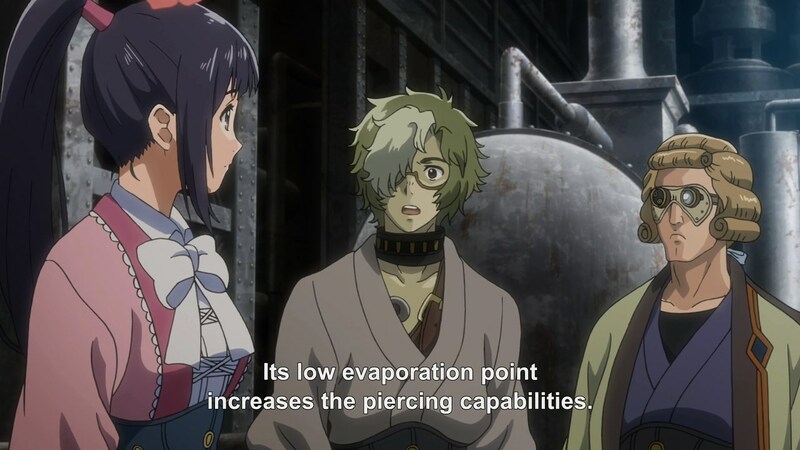 Why not use the very obvious explanation: Ikoma would react unpredictably to the black blood because he didn’t become a Kabaneri in the same way as the girls. He did it to himself rather than going through some surgery that they never explain. Creating this “male vs female” distinction just feels like an unnecessary trope to bring into the series. First off, I’m reminded of Iron Man here. 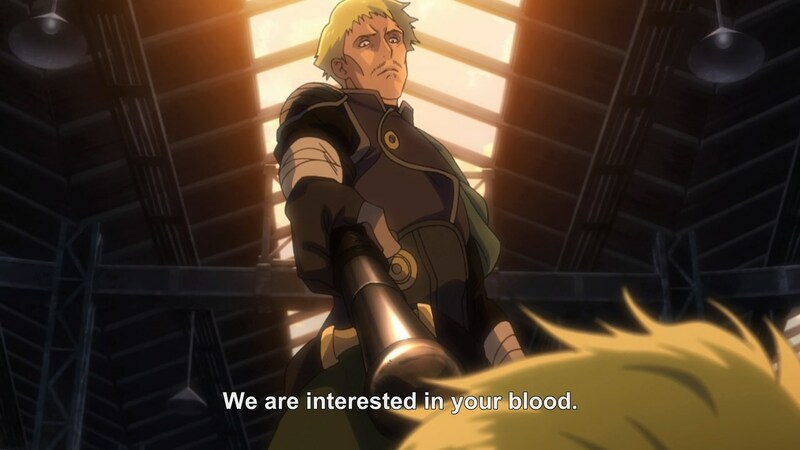 Secondly, why does Ikoma inject himself now? The scientist guy just told him that he’d be burning through his remaining life force until he dies like a candle flame. Why not wait until he’s closer to the city? I’m fine with this…I think it fits his personality and it makes his character more interesting than the rest. Plus, he’s probably going to pull the reverse betrayal later to get back on everyone’s good side. Seriously, what? Let’s just make this guy look at evil as possible so we have a good excuse to kill him off later, right? This background story is a bit late, but I’ll take it. Still, were these troops dissenters? Followers of Biba? 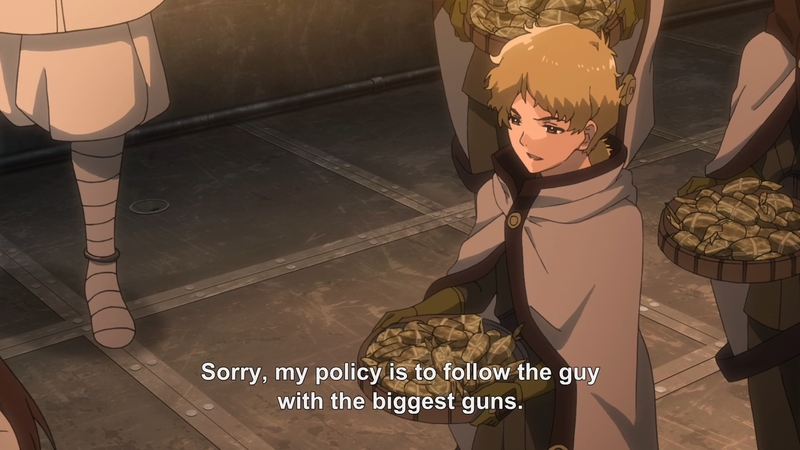 Why would you let 400,000 troops die so easily? If you were trying to get Biba killed, was it really worth it? Or was the number of troops meant to discredit Biba as a commander? Even if that’s the case, I still have a hard time believing it’s worth it. 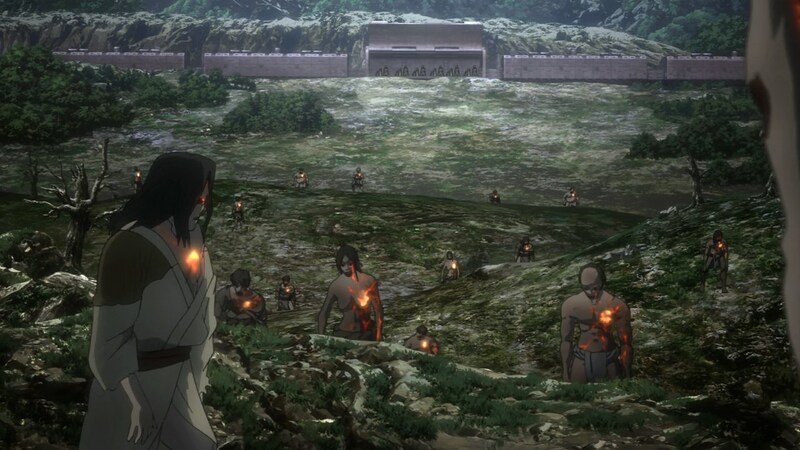 Plus, why didn’t Biba have a retreat plan for his troops? I don’t know how to feel about this scene. 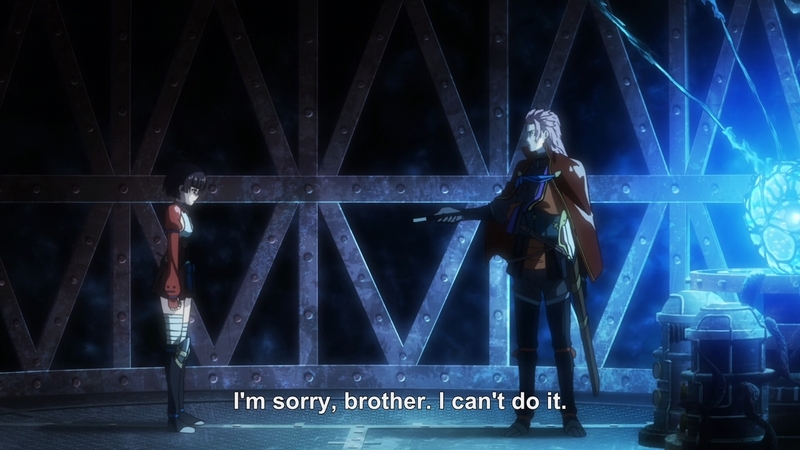 Does this “bro” moment mean that one of these two is going to die? Is this line supposed to have an effect because someone else said it last week? Because I don’t think it does. Uhh…what? 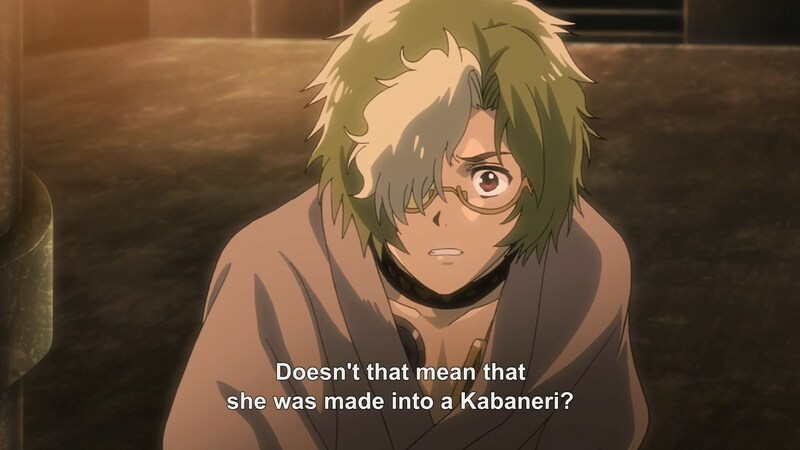 Did he recognize that Ikoma was a Kabaneri from a single glance? 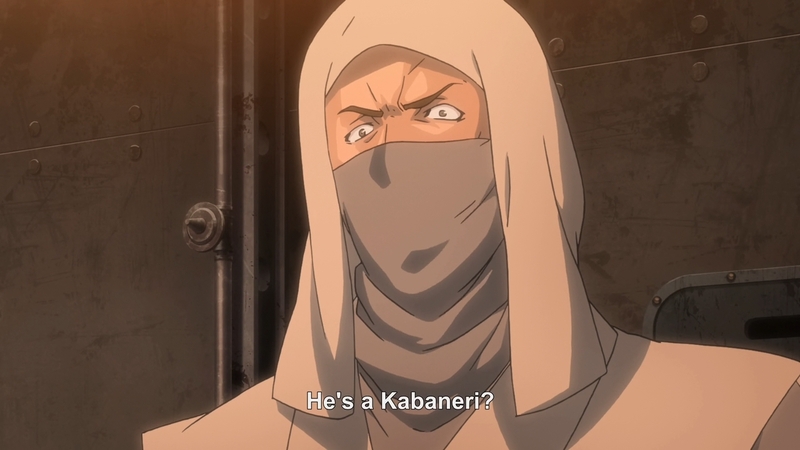 Or was this line supposed to be translated as “He’s the Kabaneri”? Yeah, this really fits his character well. 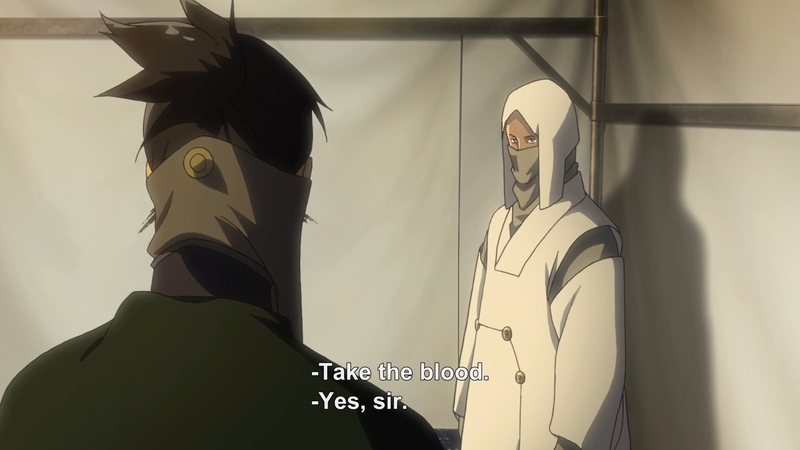 It’s about time Sukari had a good role. 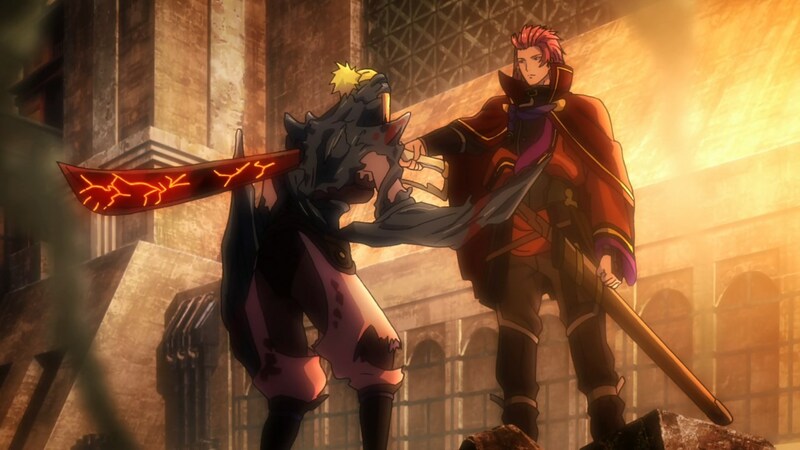 What is Ikoma even using to block this kukri? He doesn’t even look like he’s touching it. Maybe that little notch at the bottom? 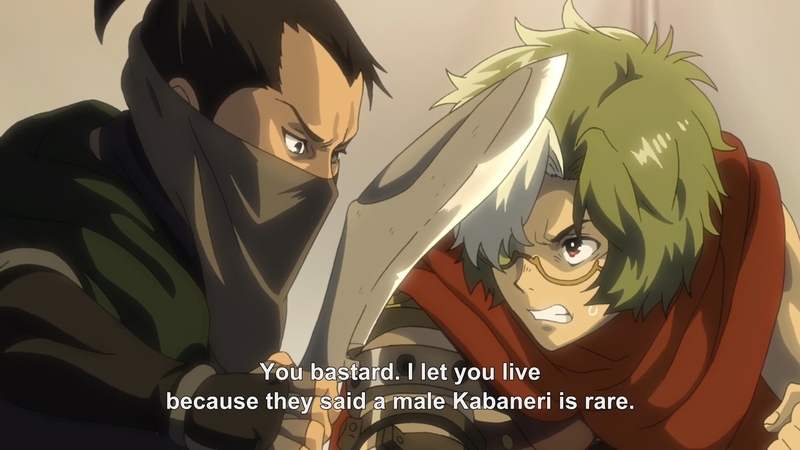 Also, apparently male Kabaneri are rare…this feels like a cliche. My immediate response was “yes…yes, it is”, but Ikoma says that too. I give the show points for that. Well, it’s about time. I don’t even mind what Biba says about the drug suppressing her Kabane transformation. The fact that she’s willing to risk becoming a Kabane shows some character growth. You just want to die, don’t you Takumi? I dunno…I didn’t mind the first half of the episode too much. Takumi’s death flags were even excusable. 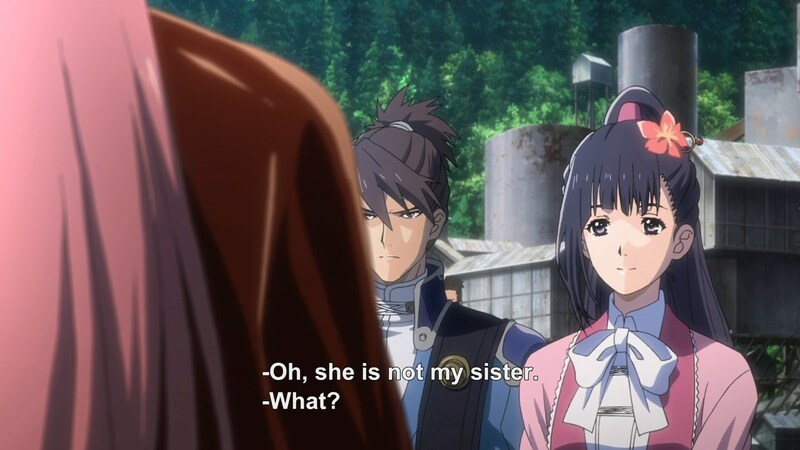 But having Biba brainwash Mumei to keep her on his side feels like the laziest mechanic of all time. 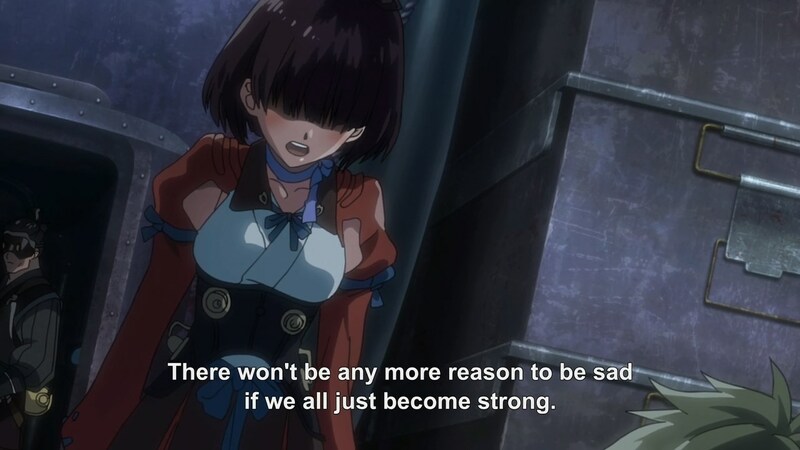 I’m guessing it’s happening because Biba has no more Kabaneri with him on the train and the writers are trying to build to a Kabaneri vs. Kabaneri showdown, but it makes Mumei’s character lose so much impact. Wow…that’s so convenient. 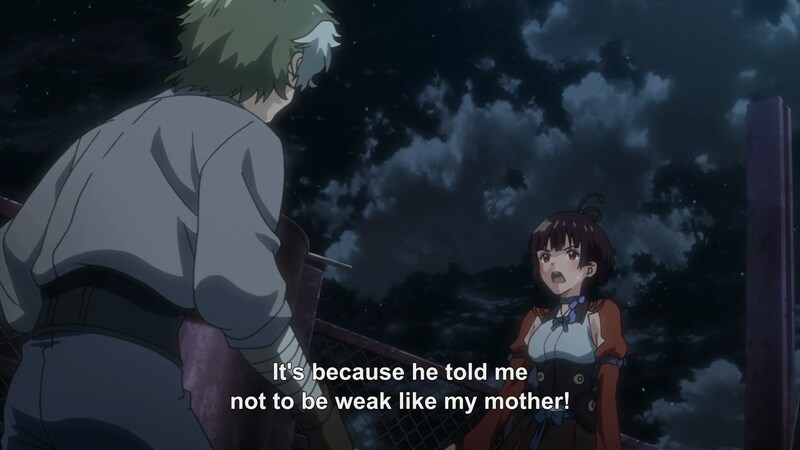 It’s almost like the writer knew that Biba’s Kabaneri were specifically a woman and a child. Seriously, why even have this line? Well, since you asked? Absolutely! 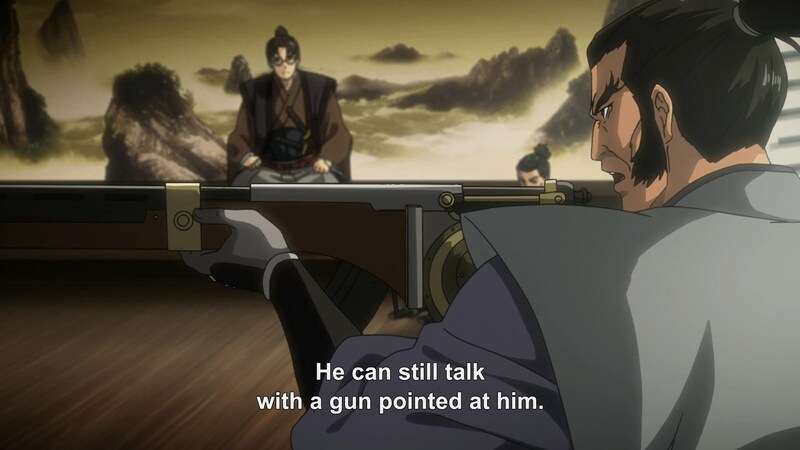 You’re not an important character and you’re obviously hiding the danger of the situation from Mumei. 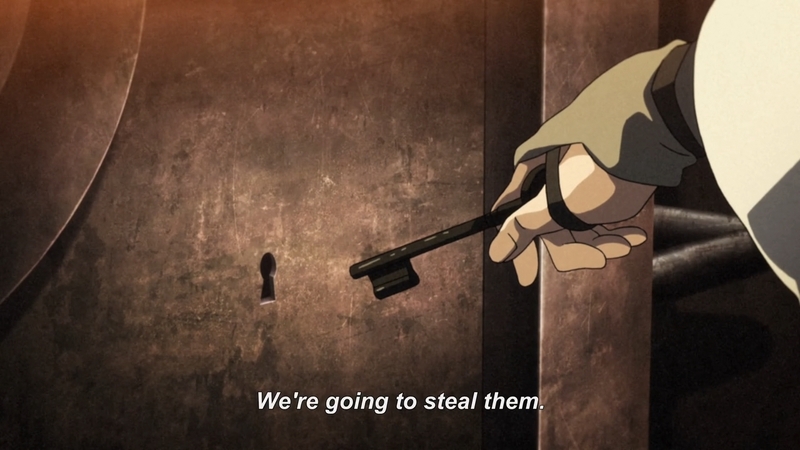 As I’ve said before with other shows, this is not how you do foreshadowing! Your question above seems to suggest otherwise. Wait…this is all part of Biba’s plan, right? 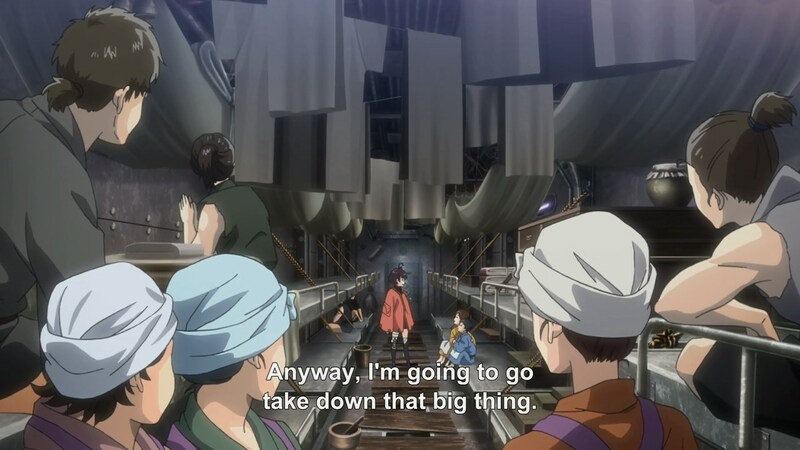 You mean his big plan involves having Mumei fake a trip to the bathroom? 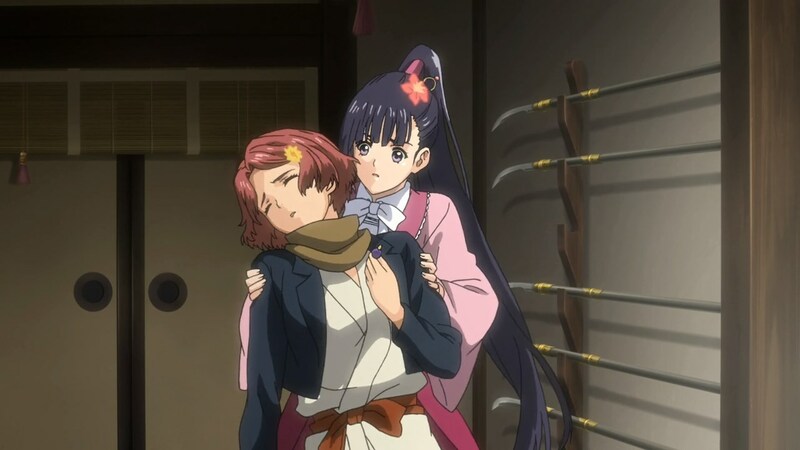 If Mumei still trusts Biba after seeing this, I have no idea what to think. Wait, seriously? You’re really expecting me to believe that humans have survived this long with rope as the primary point of failure on their drawbridge? 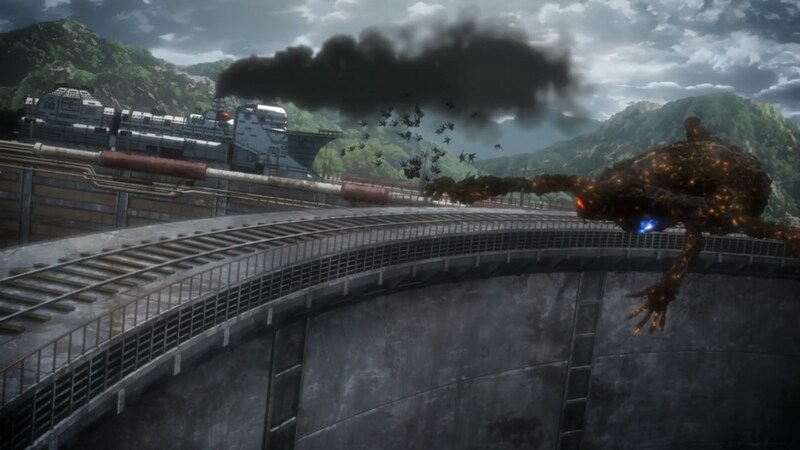 You use steam-powered gears to fire an arrow, but you can’t build giant gears to lift your bridges? Heck, at least use metal cables. 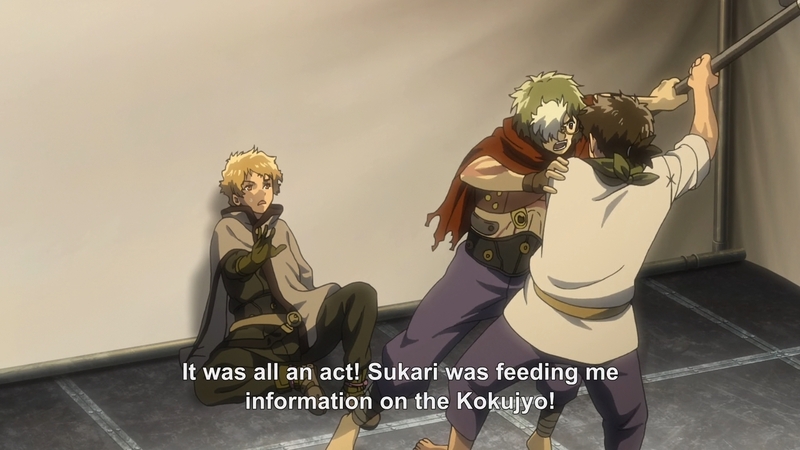 You see what you’ve done, minor Kabaneri character whose name I forget? You’ve pissed off the fans…now you’re pretty much condemned to death. 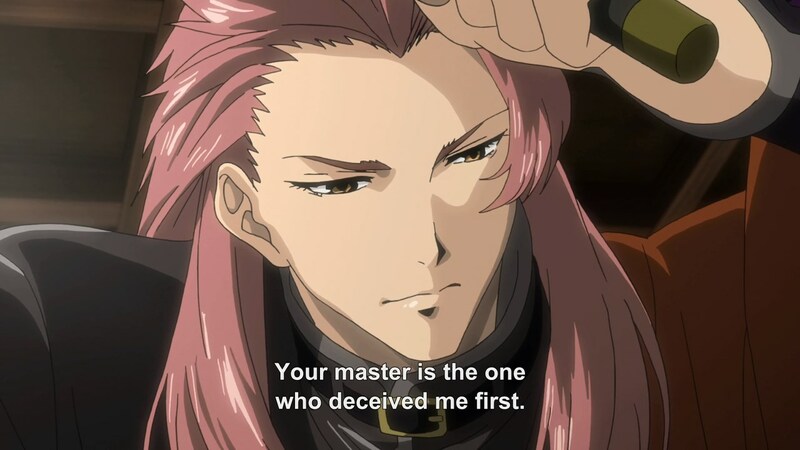 And even though you were kind enough to trust me, you must die for your master’s deception! Logic! 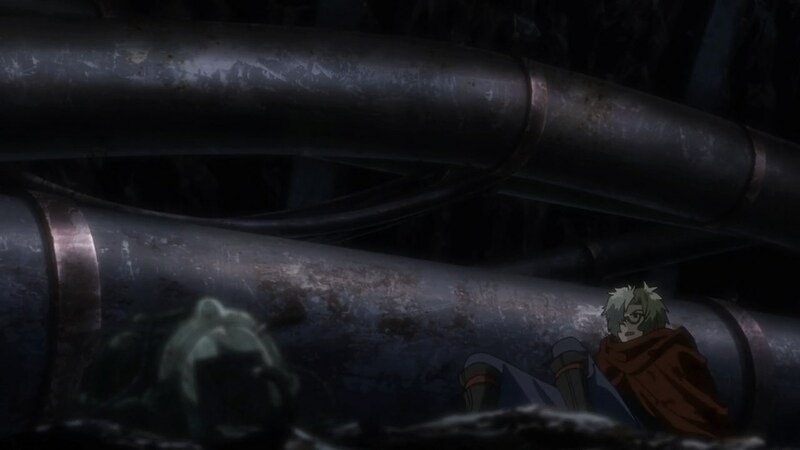 Huh…this entire scene seems to suggest that the fused colony we saw a few episodes back really did have a Kabaneri in the core. 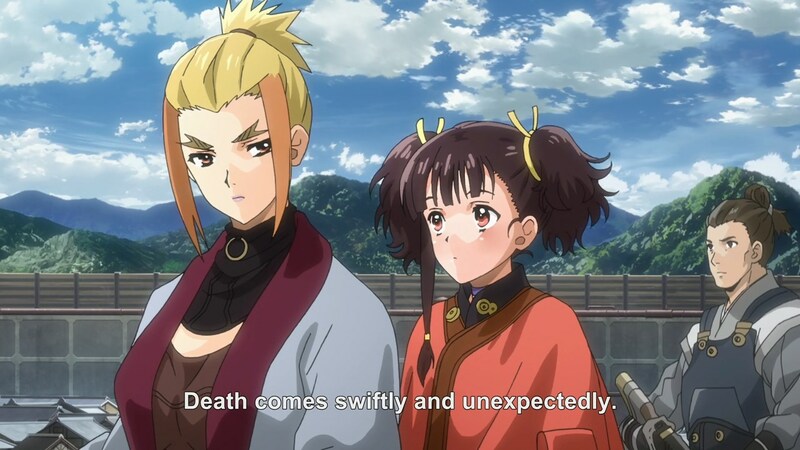 In which case, why didn’t Mumei freak out more about that? 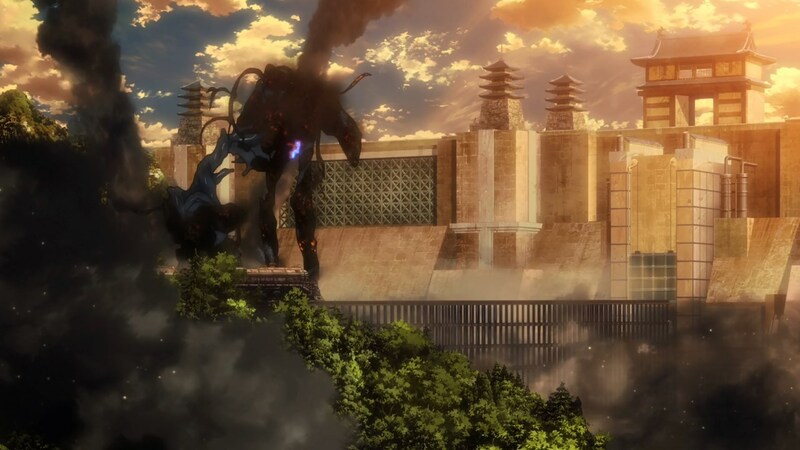 Humans defending a gate against a giant who wants to break it down? 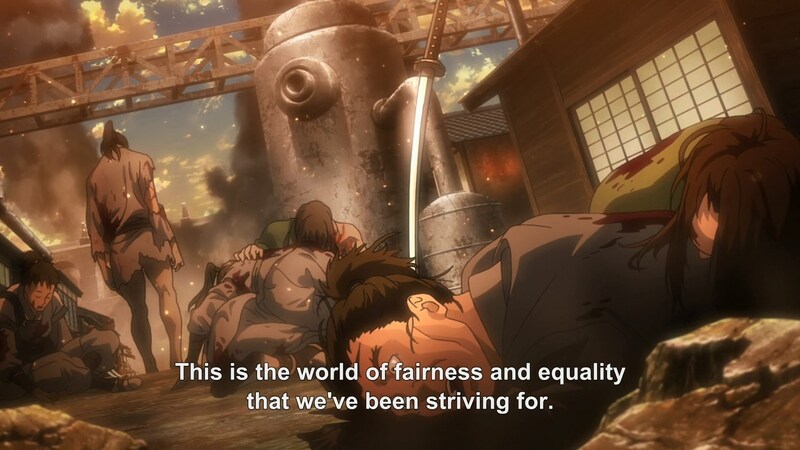 This show just literally became Attack on Titan, didn’t it? 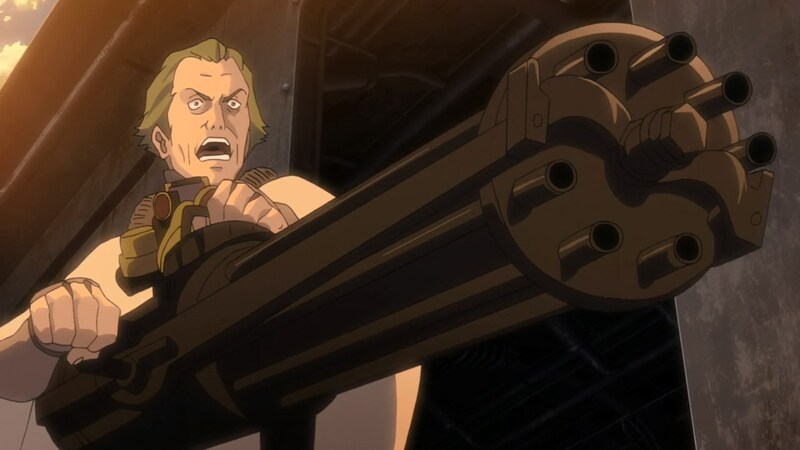 This guy has a minigun? Are you serious? WHAT?? Please steampunk world, enlighten me with your physics. Sure, I believe this is possible. We need a reason to keep the main character alive, right? 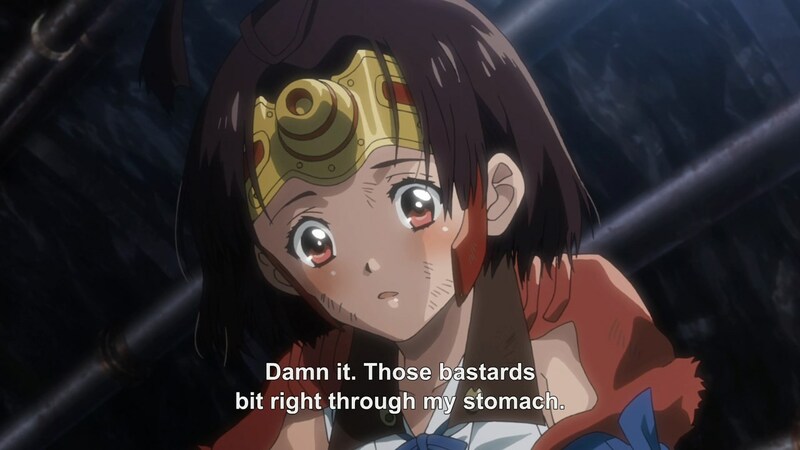 If Mumei doesn’t turn on Biba after this episode, there’s something wrong with her. 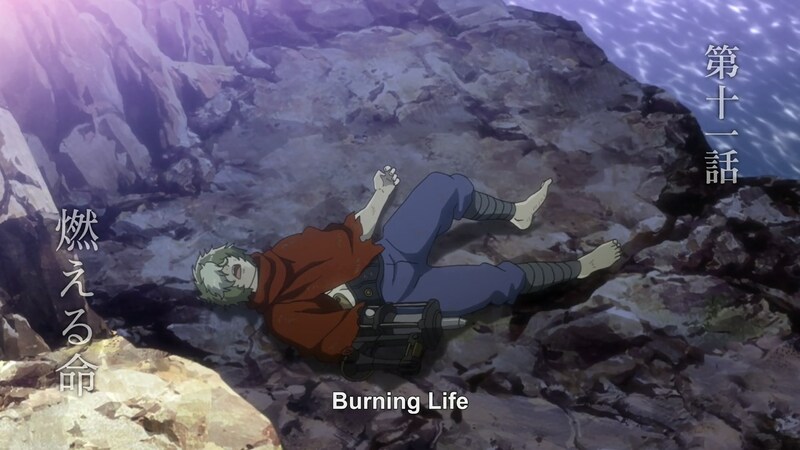 This episode makes me feel bad for saying I thought Biba had a chance to be interesting. It looks like they introduced him the way they did last week specifically so they could juxtapose it with this week’s brutality. Buuuut I guess he’s just a generic psychopath…man, I thought this might be cool. 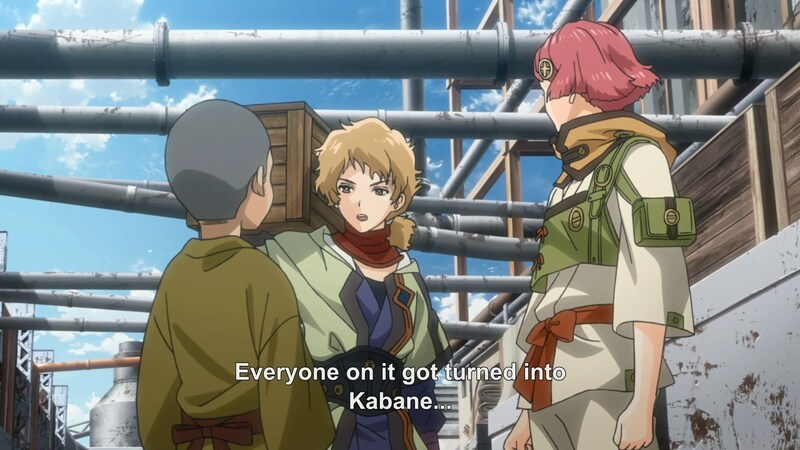 Kabaneri of the Iron Fortress Episode 8: Snake? Snaaaaaake! 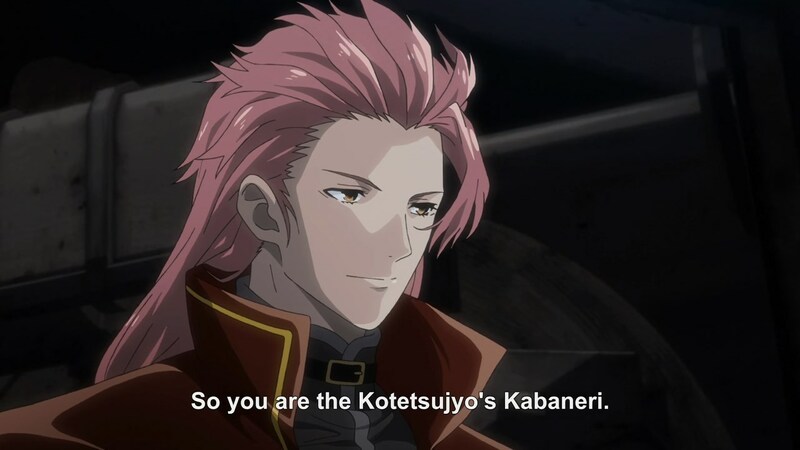 Yeah, only in anime would they make this assumption for two people with such vastly different hair colors. 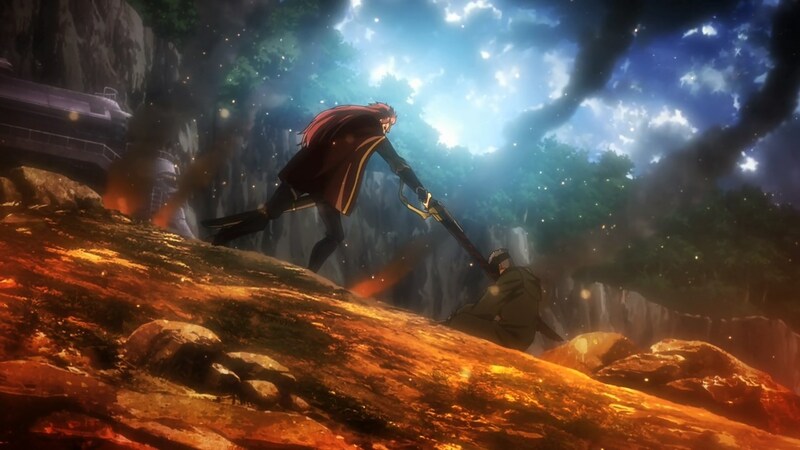 My reservations about this show aside, I actually like this scene quite a lot. They’re giving us these scenes with Biba that clearly show that he’s a man of the people, willing to step in and help the standard commoner. 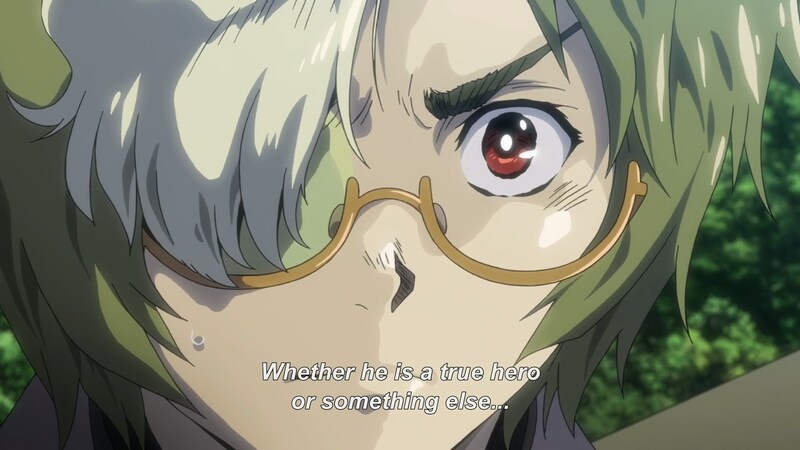 Couple this with Ikoma’s growing suspicions of his true character based on experiences with Mumei and we have a good setup for a reveal. I’m totally okay with this. Coming from the praise I just gave the last scene, this scene with the “oh, I wasn’t aiming for you” gag is actually pretty facepalm-worthy. While it’s true that Biba’s level of thinking doesn’t really work in our current society, it might actually be reasonable in an apocalypse. For the whole “standing up and fighting” thing, though, I’m a bit more skeptical. Why exactly do the Kabane turn around here? 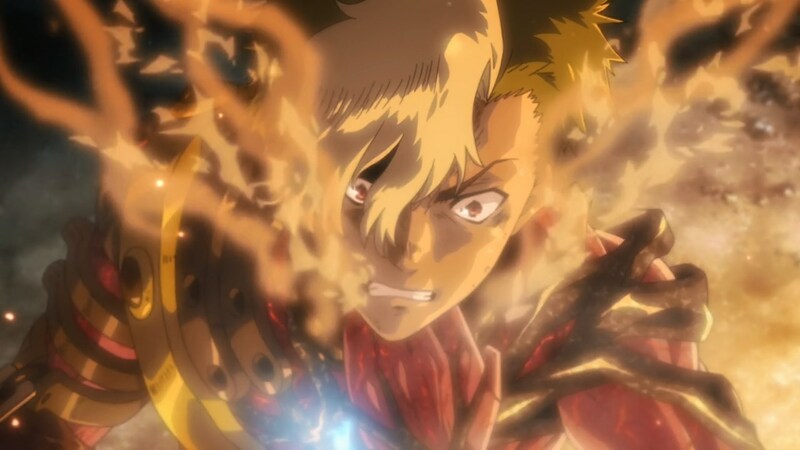 In previous episodes, Ikoma had to cut himself to make this happen. Okay, this is kinda awesome. The action sequences finally return! 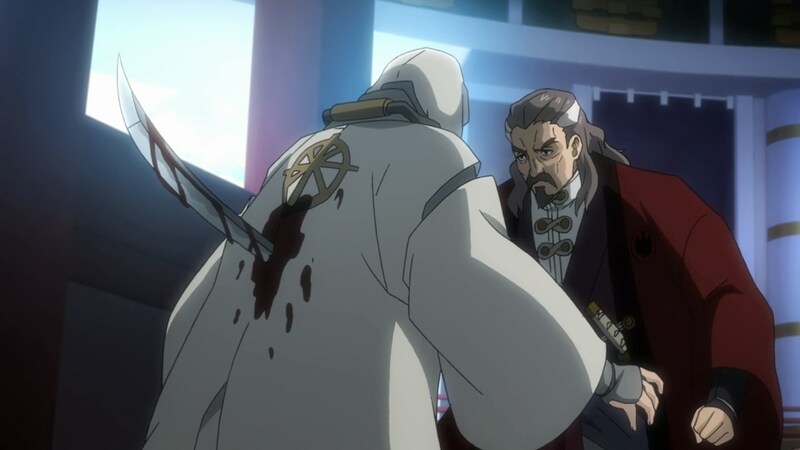 We’re given this circular arc animation which makes it look like the old guy tried to fight back, but then Biba just stabs the guy in the next scene…I feel betrayed. 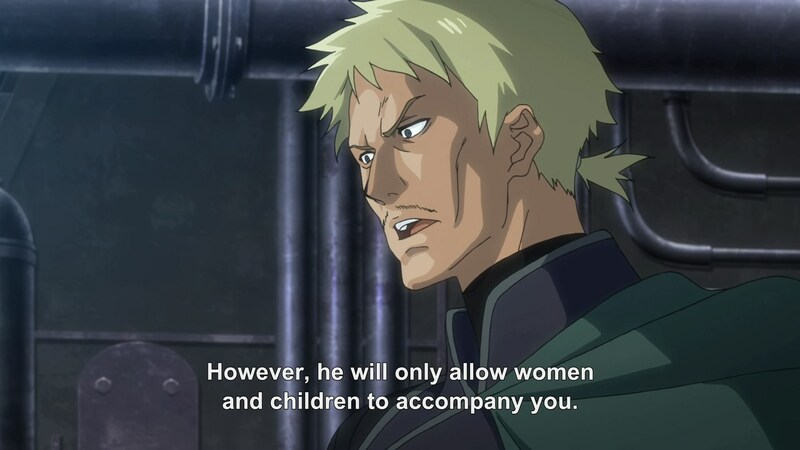 This is a very correct line of reasoning from Ikoma given the fact that Mumei said she was never bitten…I’m starting to like this guy. It also explains the “operation” thing from the beginning of the episode that was tripping me up. 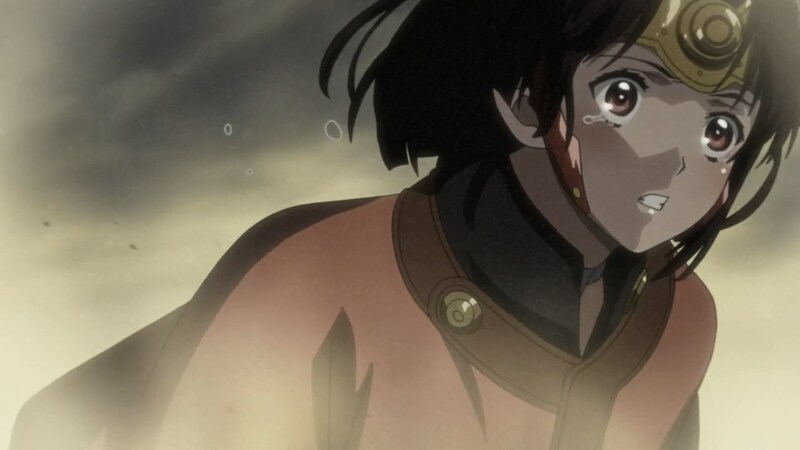 I understand why Mumei has to be brainwashed by Biba, but watching her act brainwashed is actually quite painful…can we just skip through this part? Well, it looks a lot like Biba is going to be our last boss for the series. 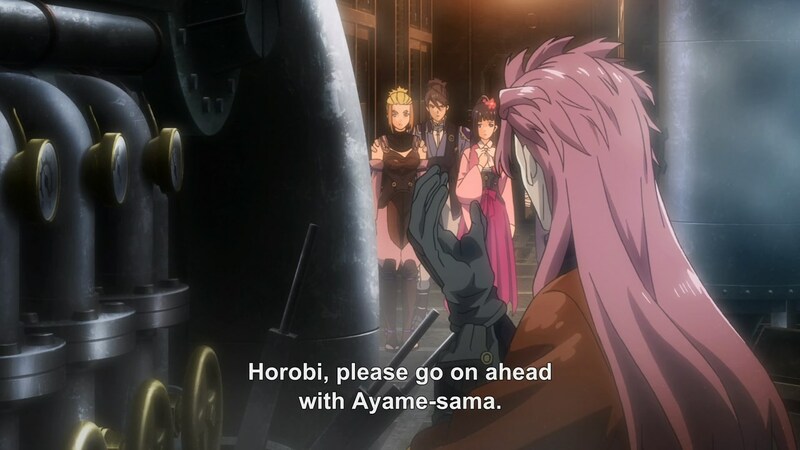 Based on the preview for next week’s episode, it looks like he’ll make his move quickly, so we can get through the whole “conflicted Mumei” phase. 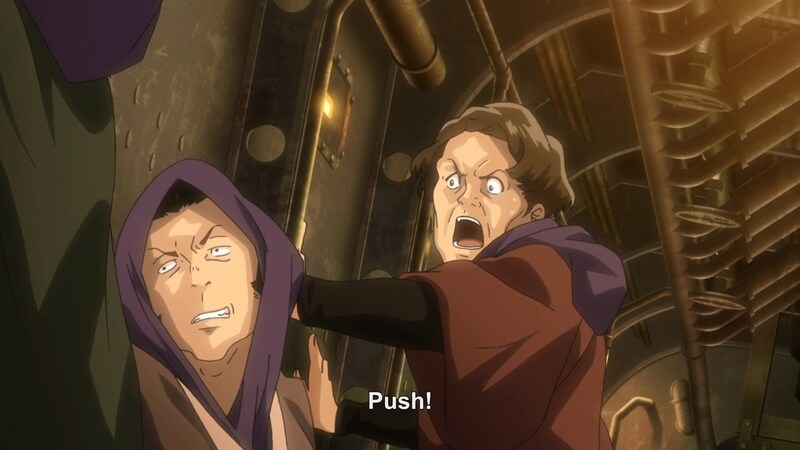 This episode was alright…I’m glad the characters seemed to be quick to suspect Biba’s actions. 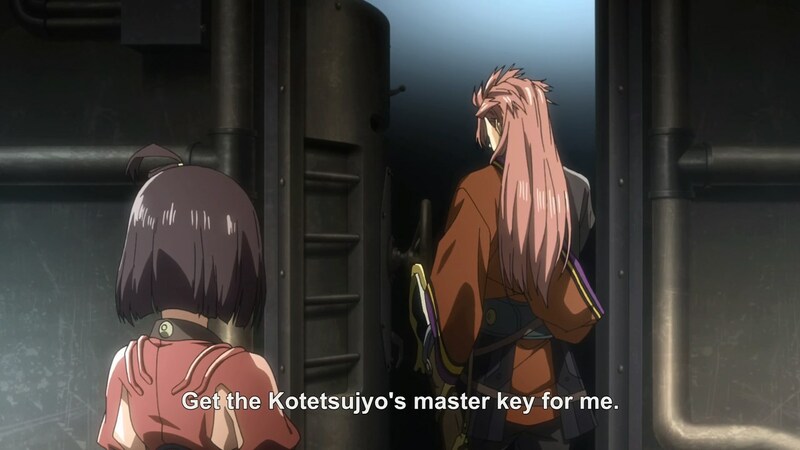 Plus, the fact that Ayame deduced so much from Mumei’s request for the master key seemed somewhat uncharacteristic of her…in a good way? 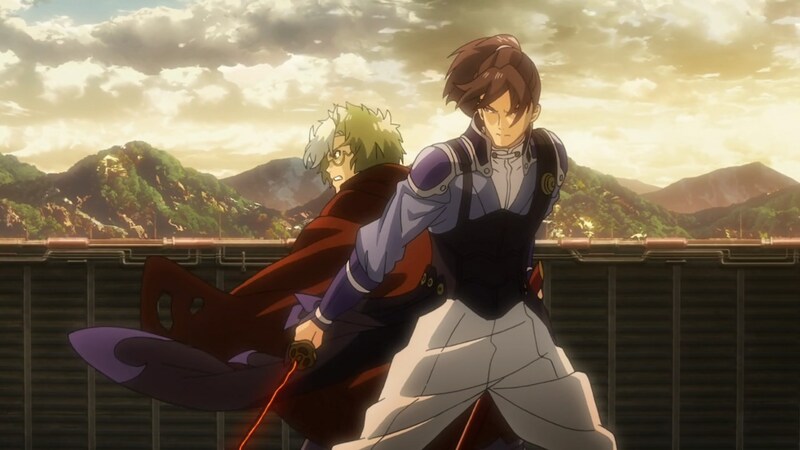 Author marthaurionPosted on June 3, 2016 Categories Kabaneri of the Iron FortressTags koutetsujou no kabaneri, zombies4 Comments on Kabaneri of the Iron Fortress Episode 8: Snake? Snaaaaaake! This seems like something that will be useful in the future…maybe even in this episode. 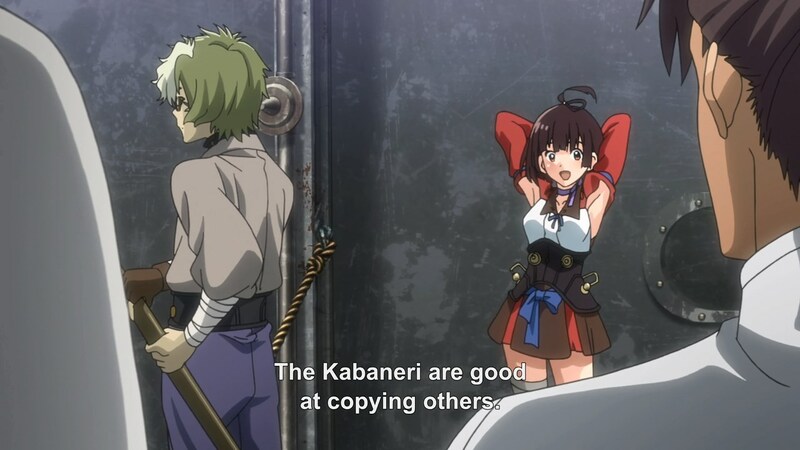 But on to my main complaint…I don’t think you should be allowed to make this statement about the Kabaneri’s ability to copy others without some sort of explanation. 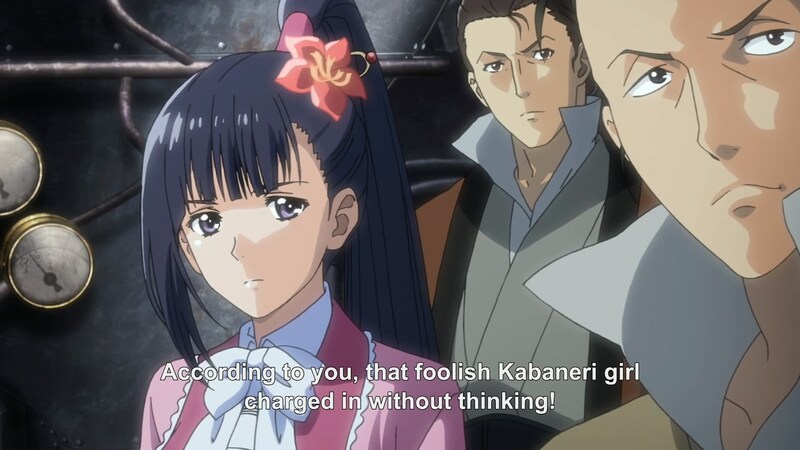 In most cases, you can wave it away with “oh, that’s just one of their powers”, but in this case, the Kabaneri are a combination of human and Kabane, so I expect an actual reason. 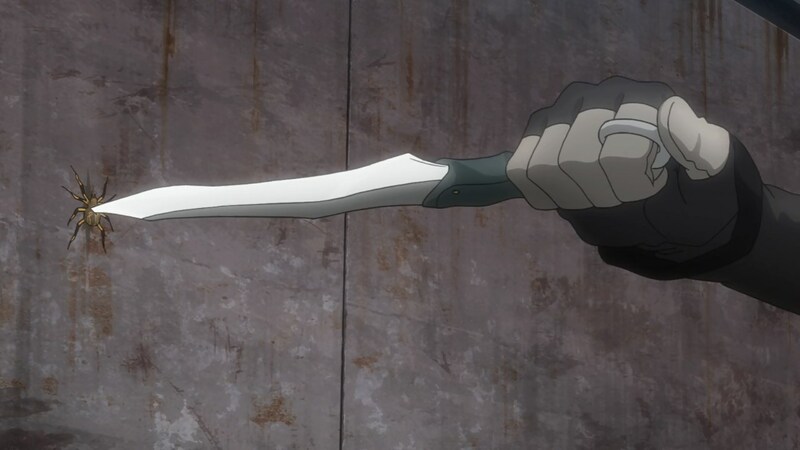 Remember how they said the Wazatori just randomly learned to use a sword well by instinct? 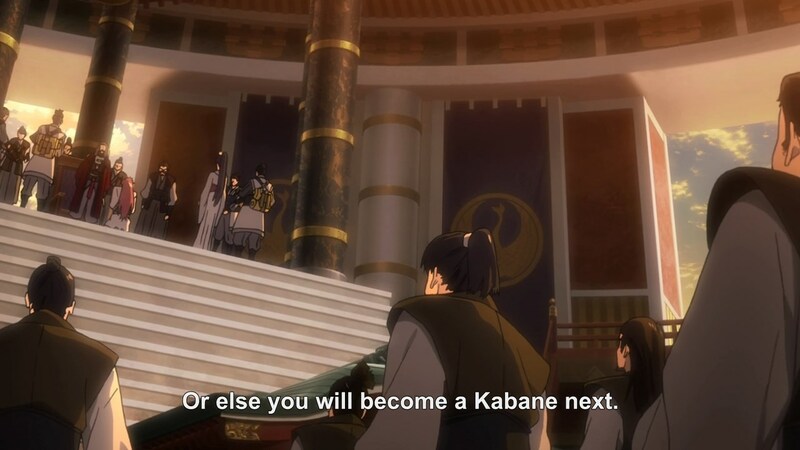 That means it’s likely not coming from the Kabane side. 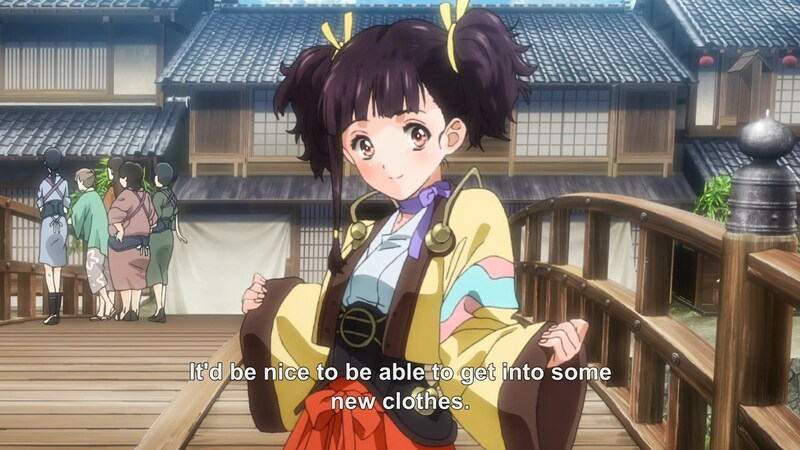 …I actually agree with Mumei here. Ahh…how the standards have dropped. And yet they feel the need to explain this “daita-iron” thing to us? The low evaporation point thing makes a little bit of sense because that means it’s easier to cause it to expand and increase pressure. But why is the evaporation point relevant for iron? 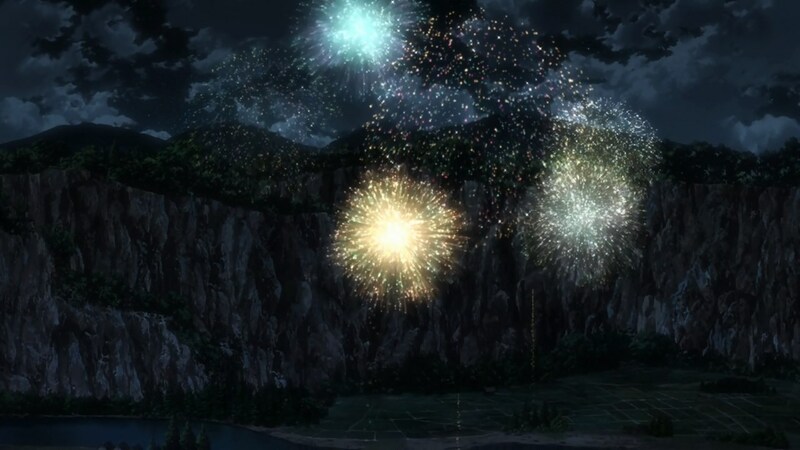 Ahh crap…that means this episode is going to be a filler episode where everyone does an apocalypse-style Tanabata celebration, doesn’t it? …no complaints on this one. Do I really need to see this? 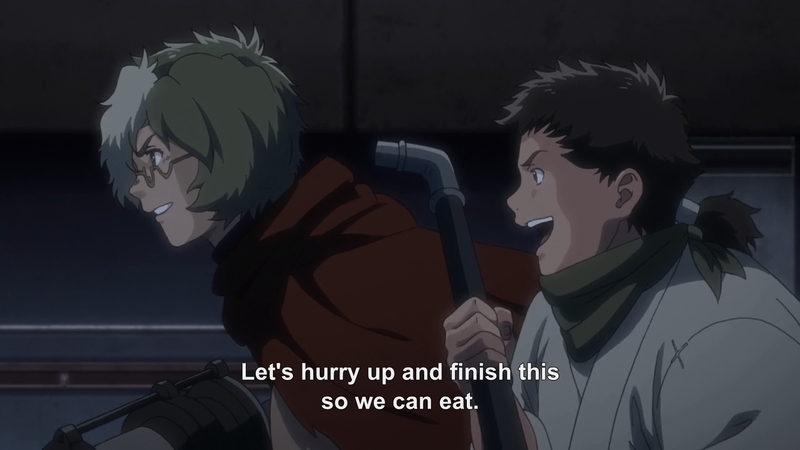 Seriously, why is this scene even important? 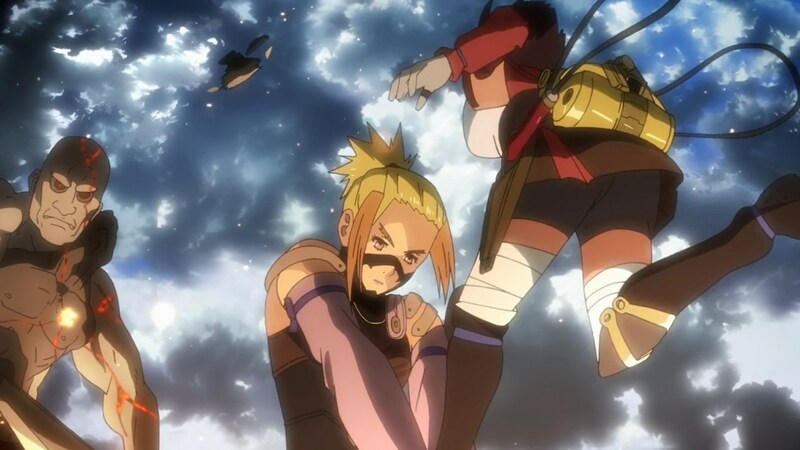 Now this scene, I don’t actually mind…mostly because Sukari just doesn’t care. This scene is like a random stab at comedy, but I have no idea what I’m supposed to make of it. 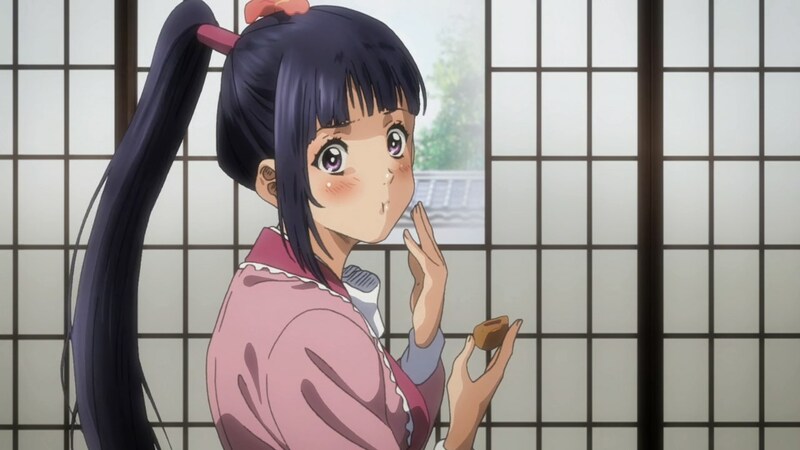 Ayame got hungry as she was waiting and Kurusu is embarrassed to interrupt her while she’s eating alone? I mean…so what? I don’t understand your surprise here. 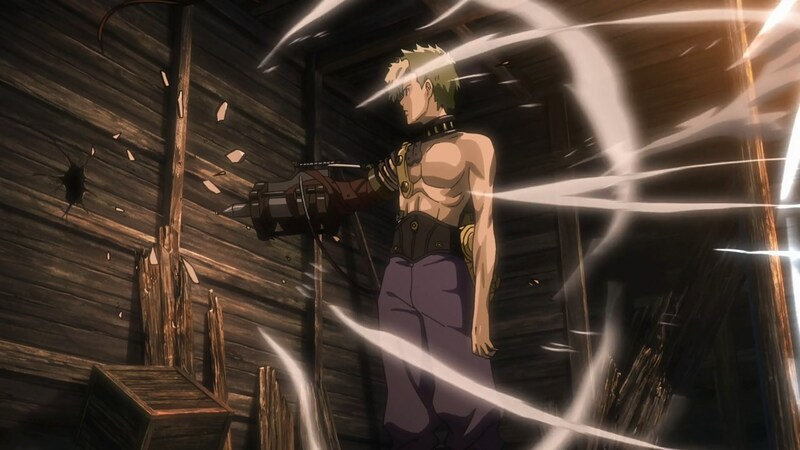 If your regular guns couldn’t pierce the heart cage, what did you even use them for? Were you aiming for the gaps in the cage mesh? I’ve never tried shooting at a fence before, but I imagine most of your shots go through the holes…just saying. Why do I get the feeling we’ll never see this name again? 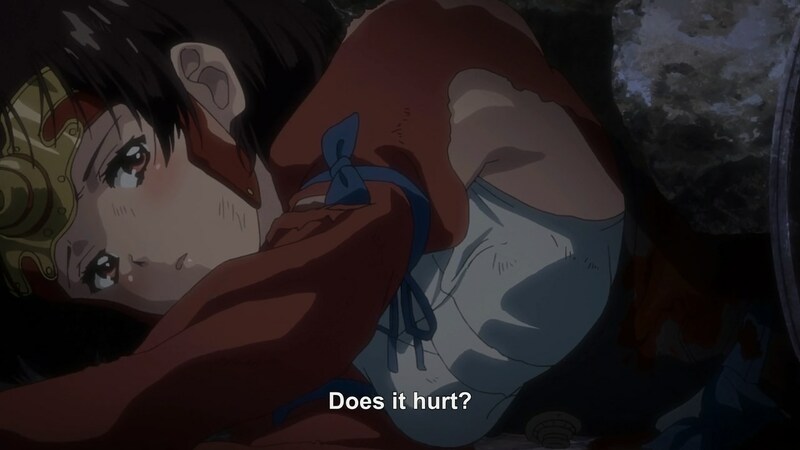 Random stuff aside, I actually respect that Ikoma notices Mumei’s internal pain here. It’s clear from the way she acts that she’s legitimately afraid of becoming a monster. 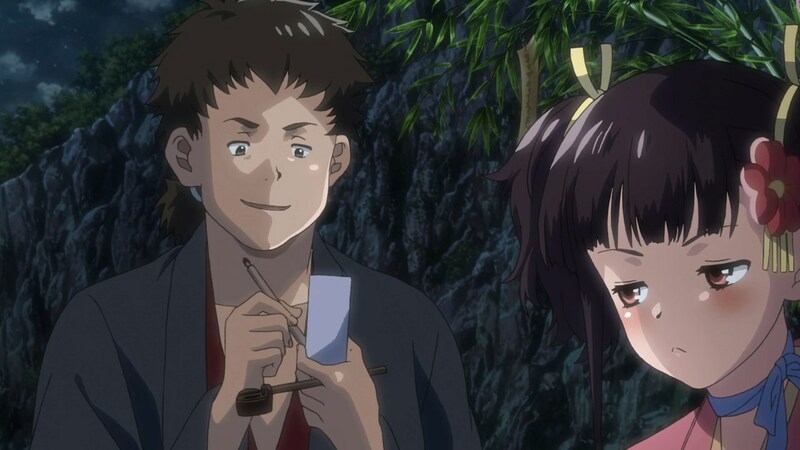 Mumei would be great at Cinema- err…I agree with Mumei’s attempts to inject logic into the situation. I would do the same. But clearly she’s never watched anime with this statement. 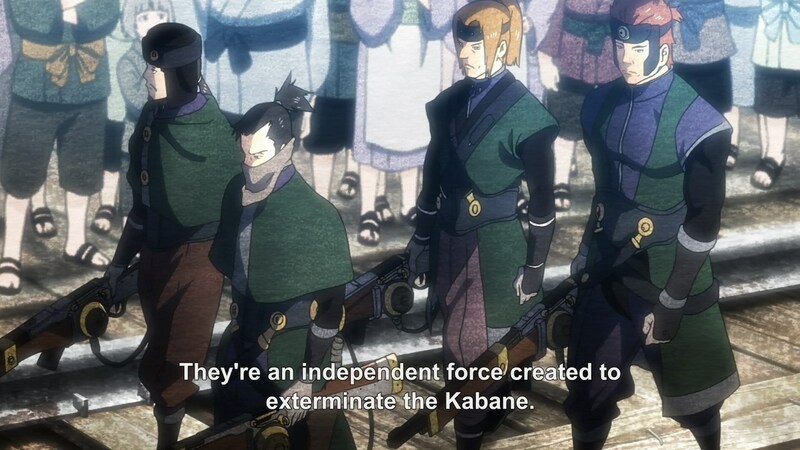 Aaaaaand then the Kabane attack? 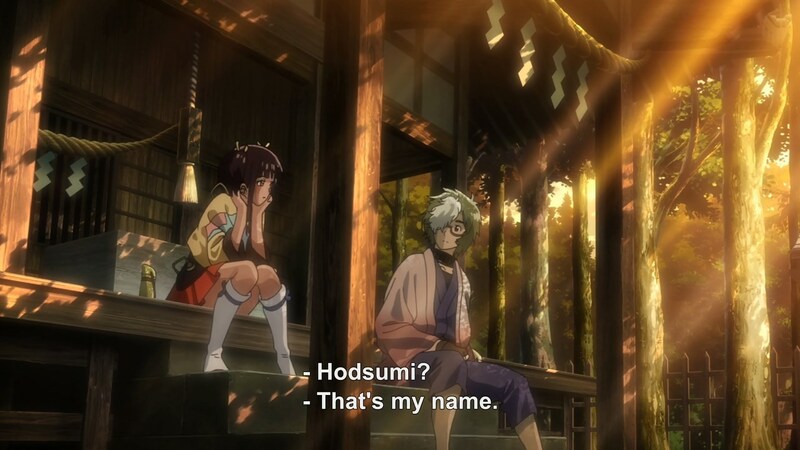 Honestly, this side arc where Ikoma is suspicious of the shogun’s son is actually a bit promising to me. He’ll probably get the standard backlash of “you’re a Kabane trying to defame him” or something. So yeah…not really much going on this week. The rest of the season better be full of action. 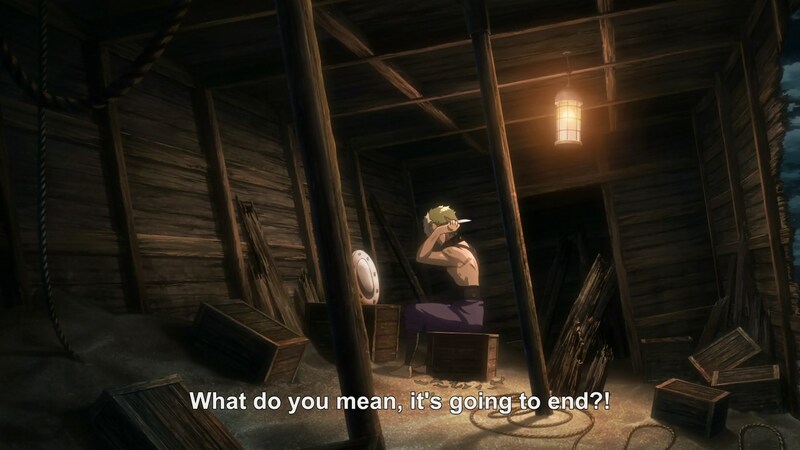 Either this or the episode is actually a bunch of death flags as everyone broadcasts their future plans. 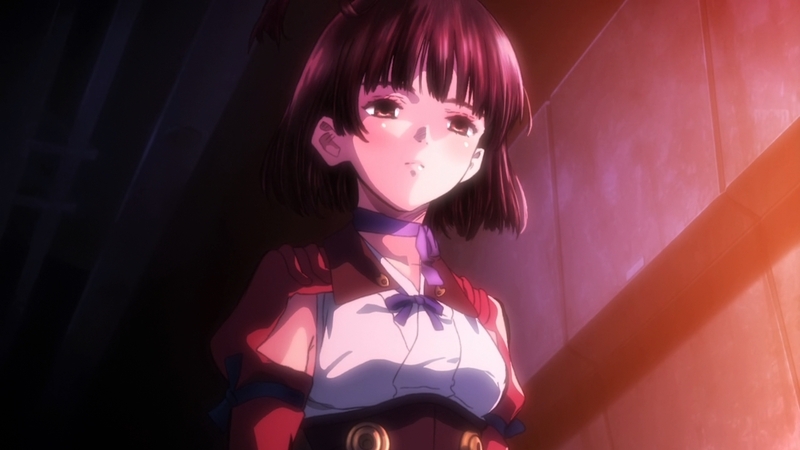 Kabaneri of the Iron Fortress Episode 6: Mumei joined your party! Okay, this is pretty cool. Still, why exactly does the giant Kabane conglomerate have a big glowing blue spot on the chest where the Kabane weak point would normally be? Do some of the Kabane just randomly start glowing when they combine? 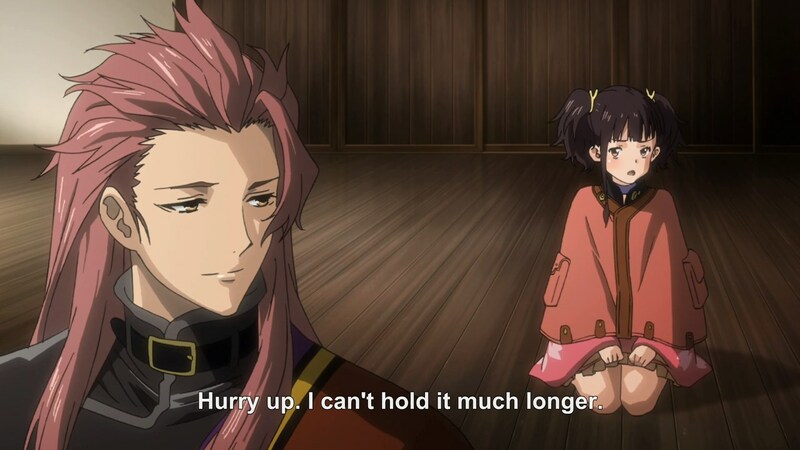 Mumei, you have that giant pipe lying on you…does it hurt? 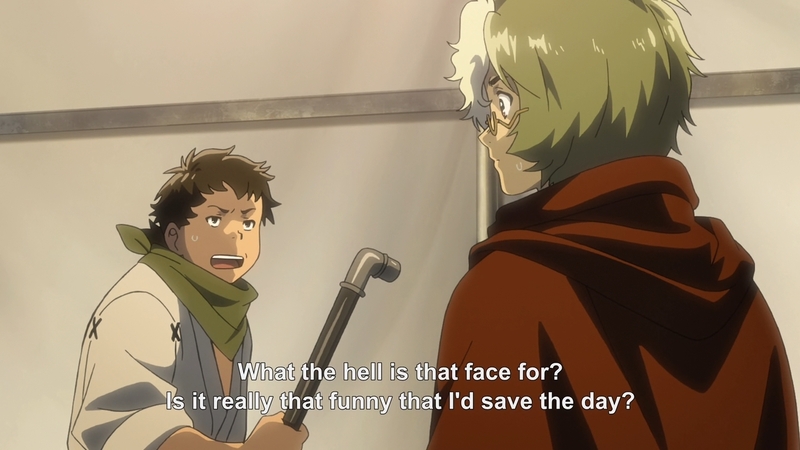 Solid question, Ikoma. 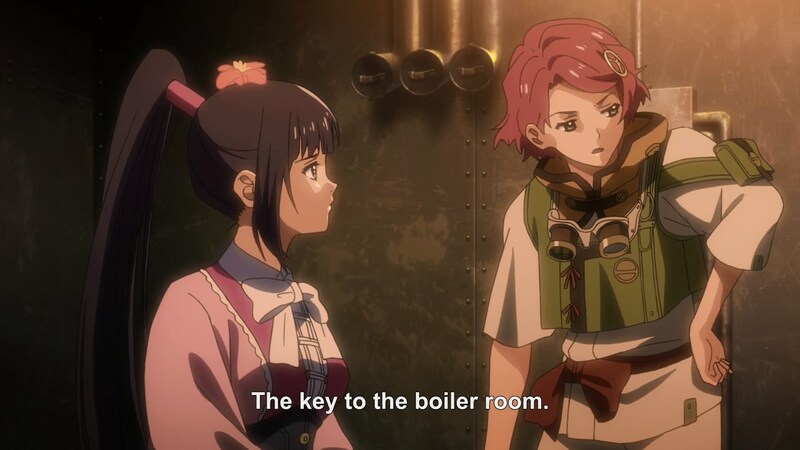 Anyway, since it looks like Ikoma’s going to be spending the entire episode freeing Mumei, I guess they have some time to talk and get to know each other. 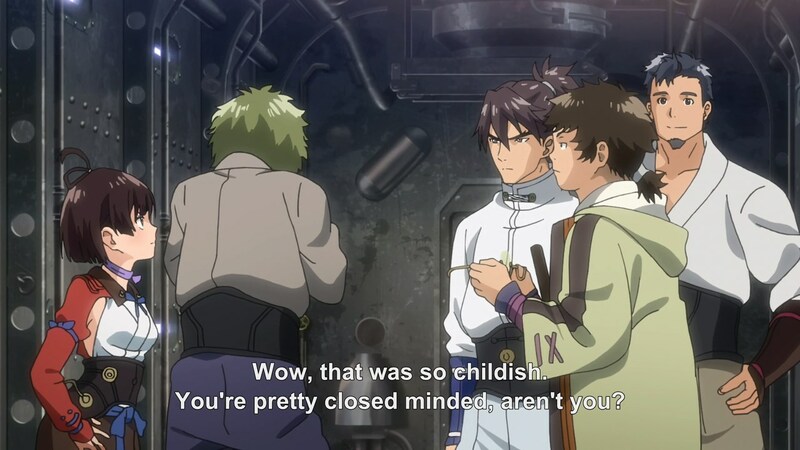 Yeah, listening to how much these guys hate the Kabaneri never gets old! 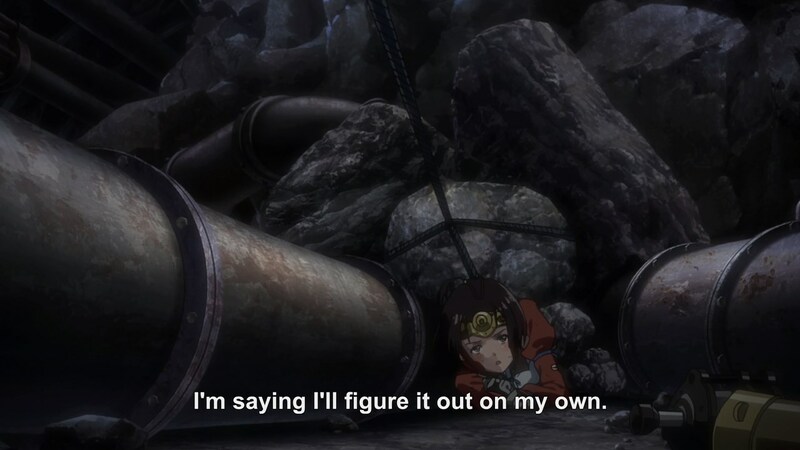 Explain the plan to me, Ikoma. Are you really going to use the winch to yank this rock out to make it easier to move the other rocks? 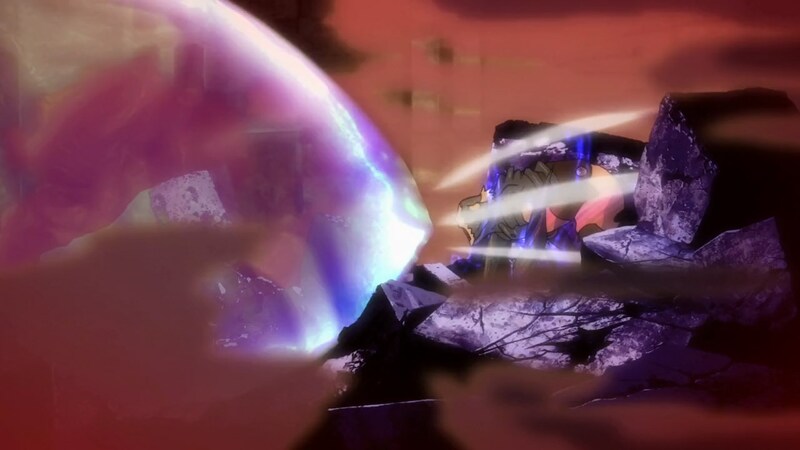 Because physics would suggest that the rock is going to immediately fall down when it gets loose and crush Mumei. 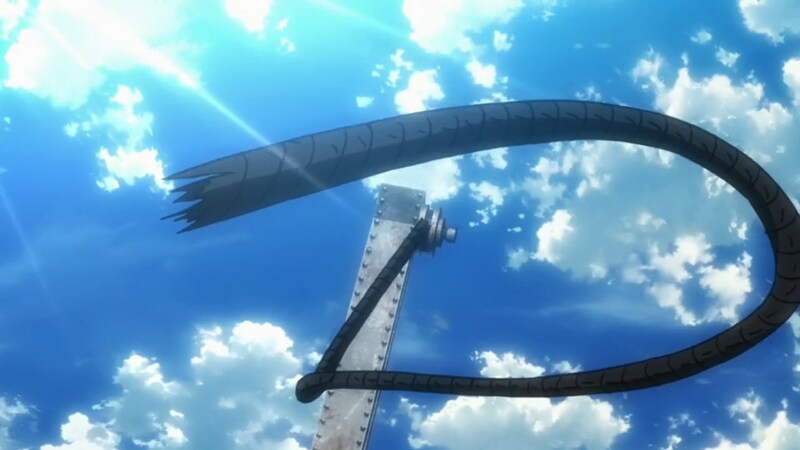 Luckily the rope snaps and Ikoma doesn’t accidentally maim Mumei, am I right? 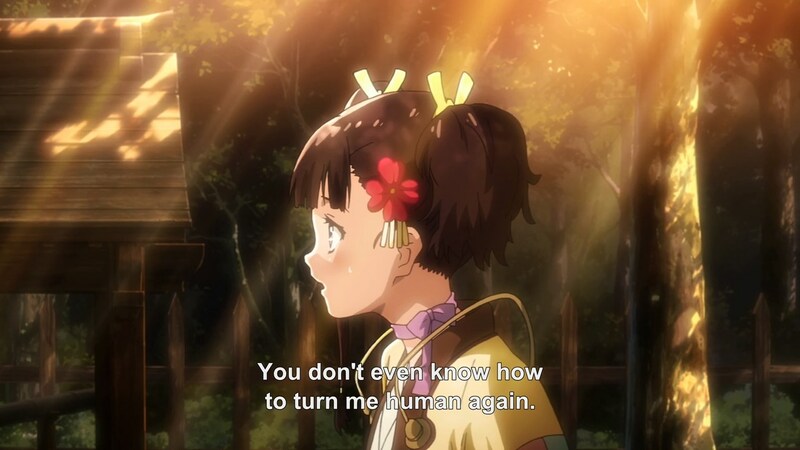 I’m assuming this is the moment when Mumei realizes the humans and Kabaneri can be friends? I’m just judging from the flashbacks she’s been having. Nah, it’s just a flesh wound, buddy! Well, that answers my earlier question about the glowing blue spot. 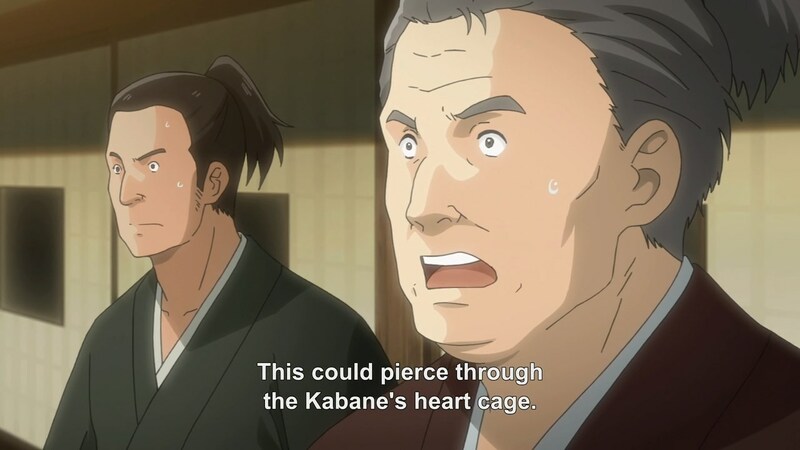 Does that mean they have to hit the heart of that Kabane? Because if so, that’s actually a pretty decent weak spot…it’s not just a giant glowing blue thing that they can blast away with their cannon. 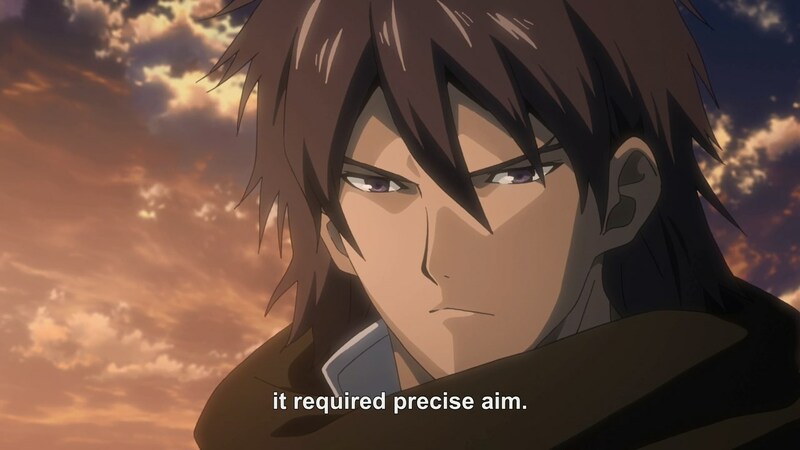 I’m glad that the weak point requires actual precision to hit, but why make it glow in the first place? 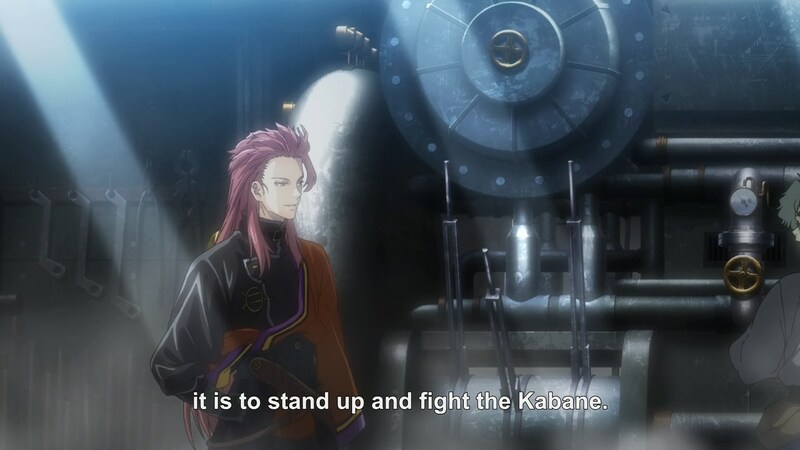 What do the Kabane gain by doing that? Character growth! I still think it was forced, but I guess I’m okay with this. 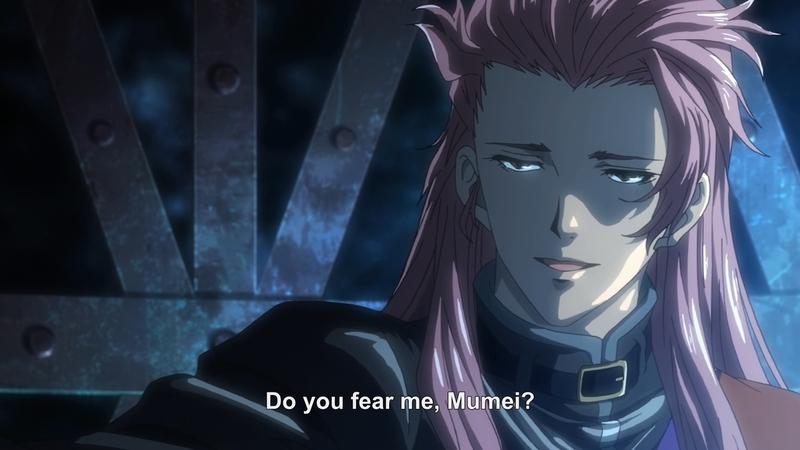 Can we make this guy say “Yes!” and “Show me your moves!”, so I can pretend he’s Captain Falcon? 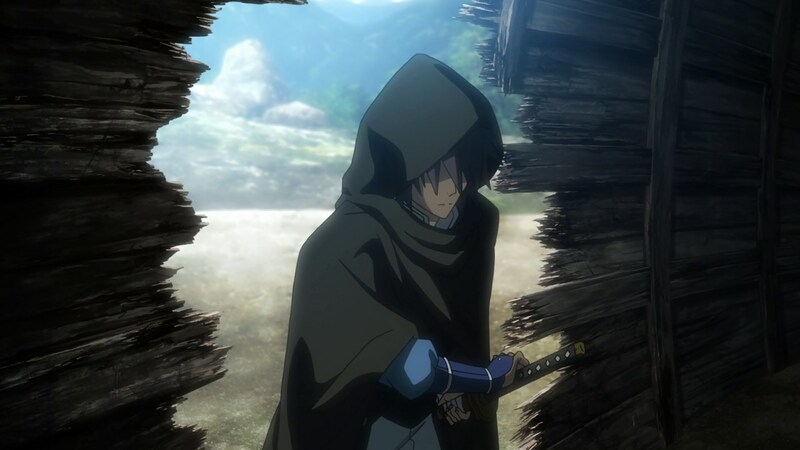 You can tell he’s a swordsman in an anime because he wastes most of his time making cool poses. The pulling of this level requires the removal of this shirt…pretty sure there’s no one complaining, though. 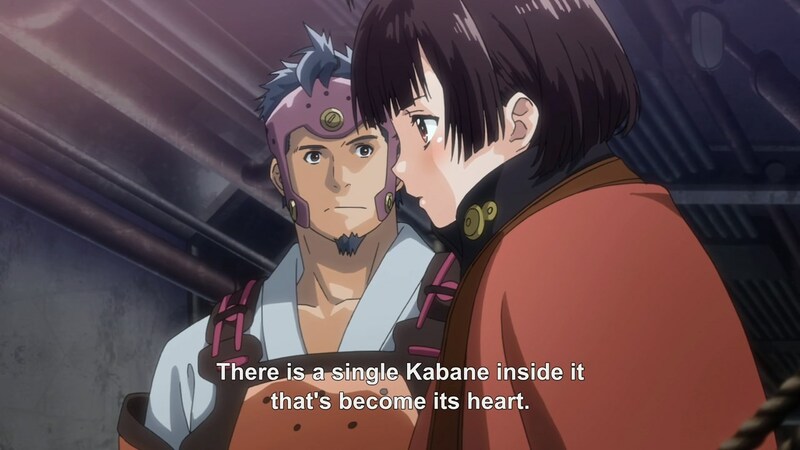 It’s unclear whether the heart of this Kabane is actually a Kabaneri or whether Mumei is just projecting the image of the Kabaneri on to the core to indicate that she has gotten over her insecurities about weakness. Both seem equally likely to me. This…actually is how physics works. Hmm…fewer complaints this week, right? On to the next adventure? 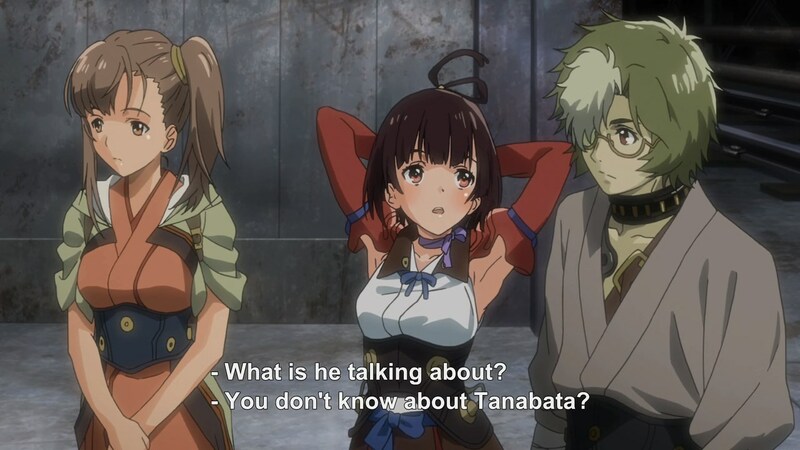 Author marthaurionPosted on May 20, 2016 Categories Kabaneri of the Iron FortressTags koutetsujou no kabaneri, zombies4 Comments on Kabaneri of the Iron Fortress Episode 6: Mumei joined your party!